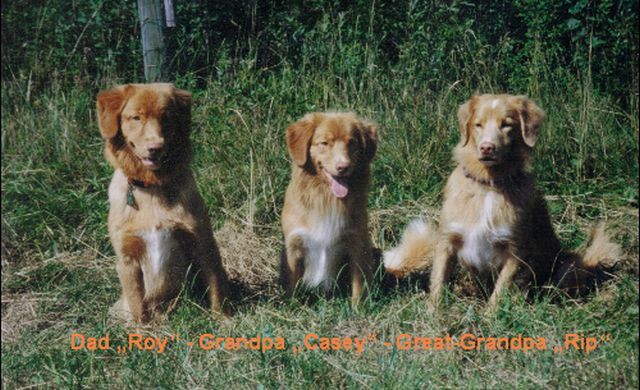 Or: "... you can't give away a dog like that ..."
It took us a long time before these first lines were written. 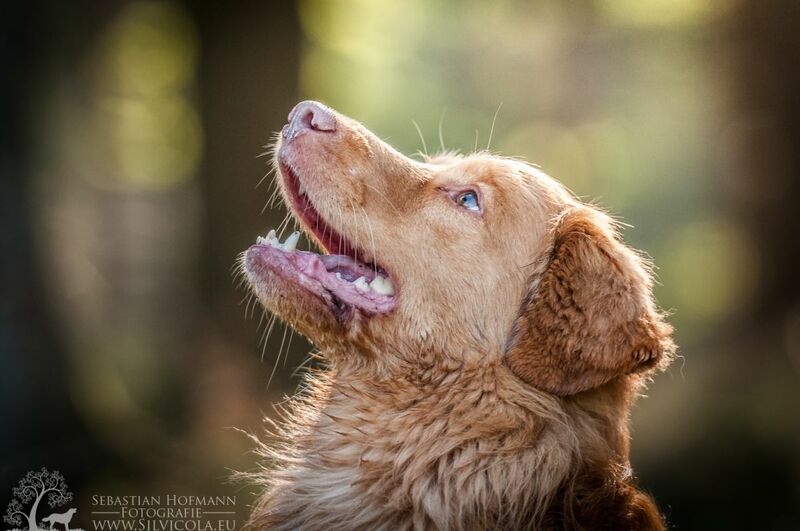 Meanwhile he is 13 months old, but still not all can be said about him. 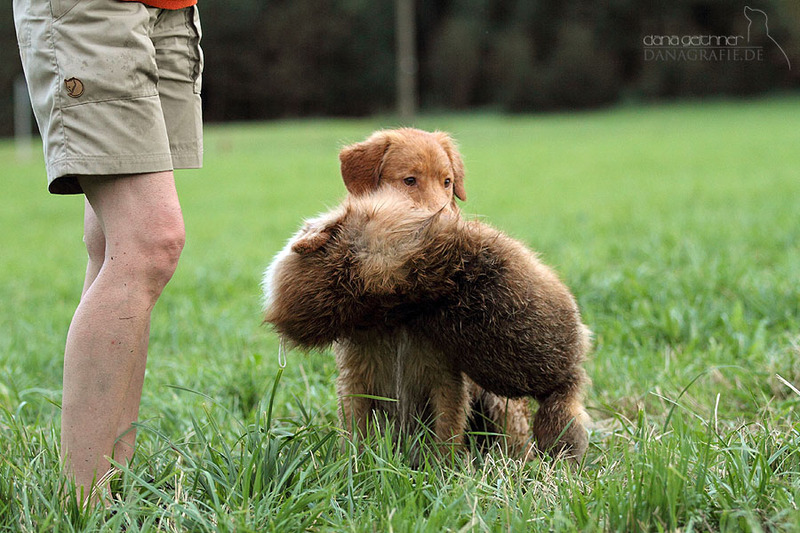 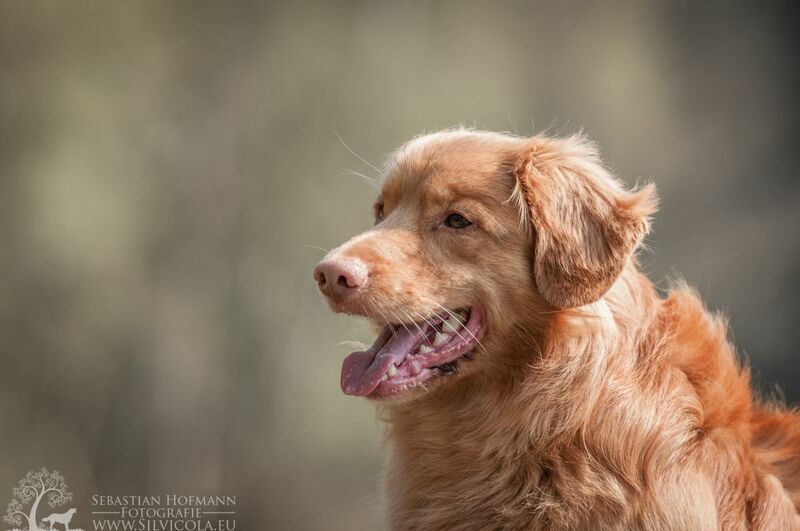 The citation above: �� you can�t give away a dog like that�� is from a friend, who also breeds Labradors. 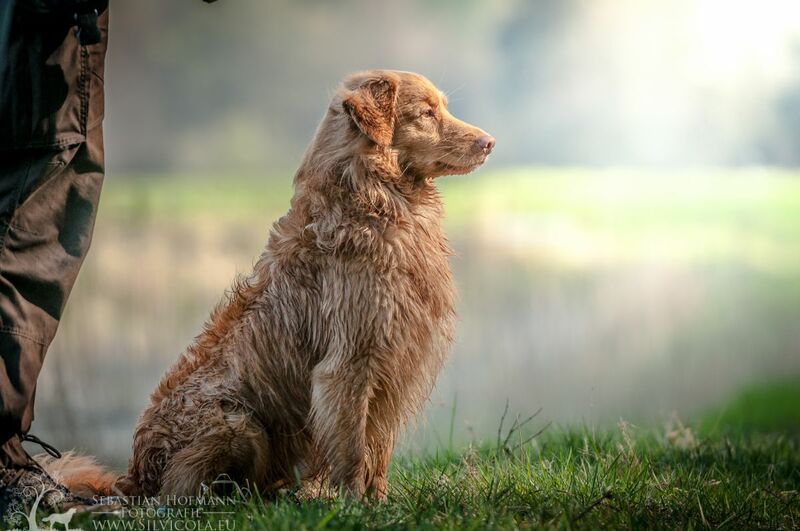 She certainly didn�t mean, that he was a handful with whom nobody could be trusted. 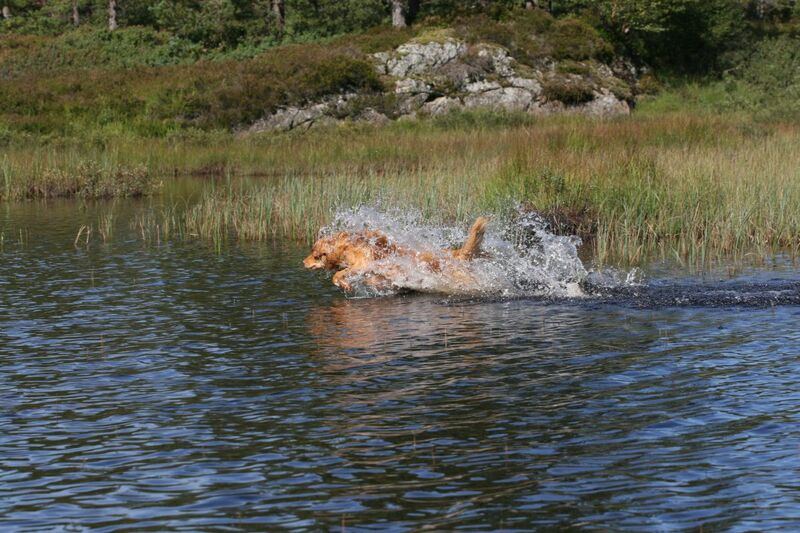 No � Ryyd is a very special dog. 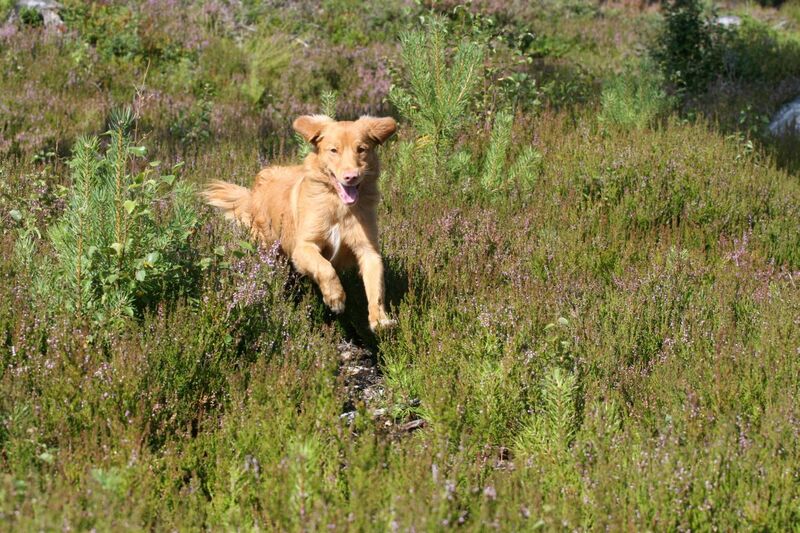 Up to now he has mastered everything and likes to be part of everything. 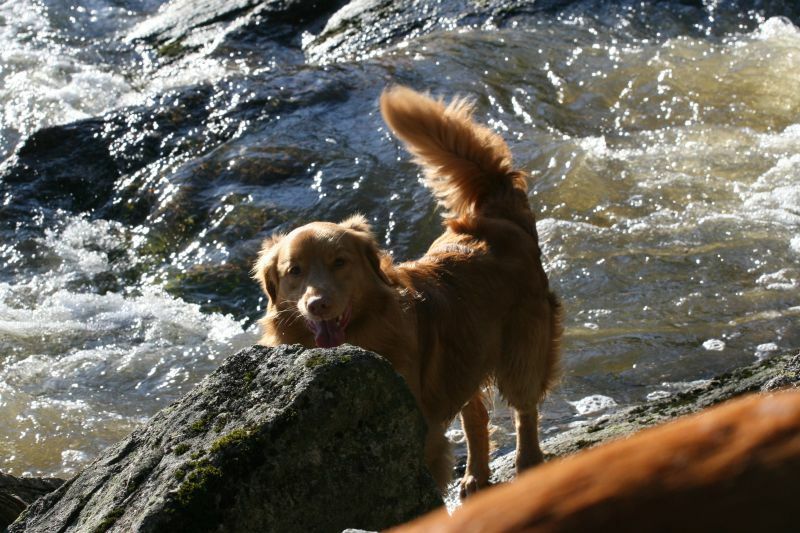 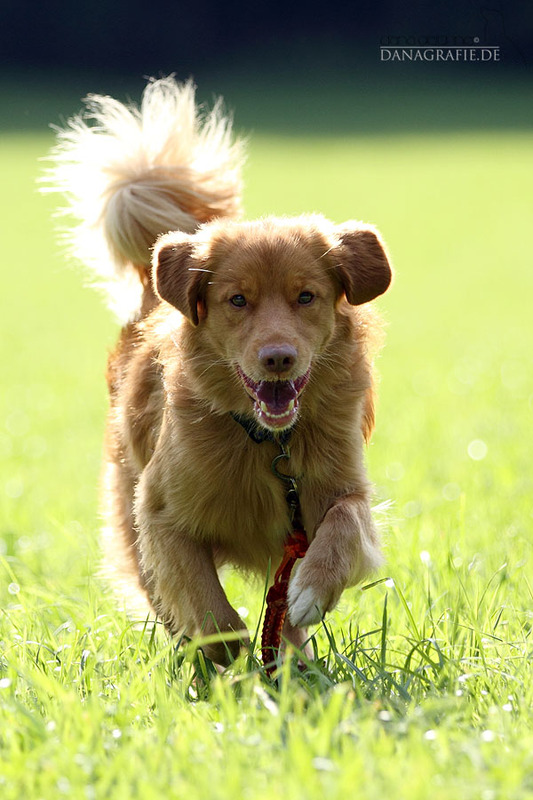 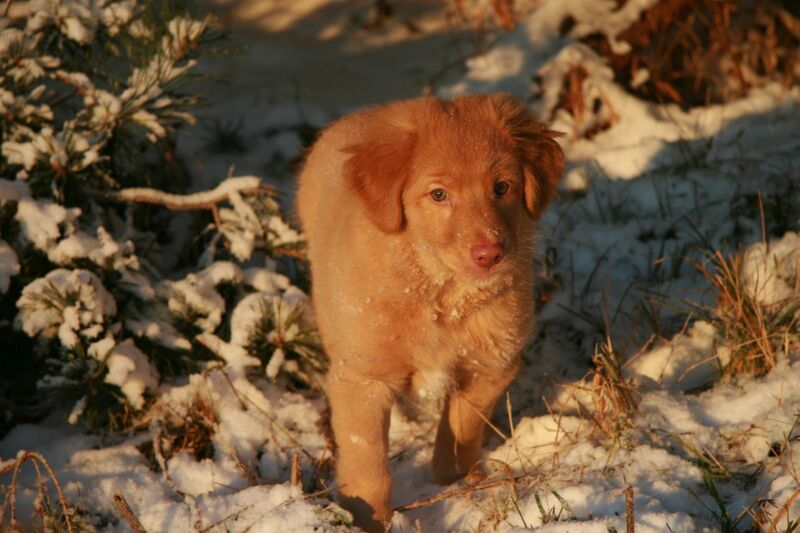 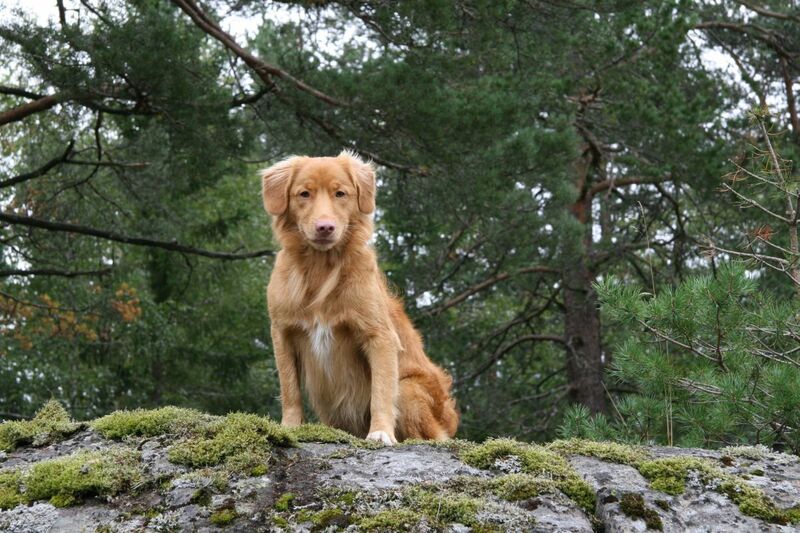 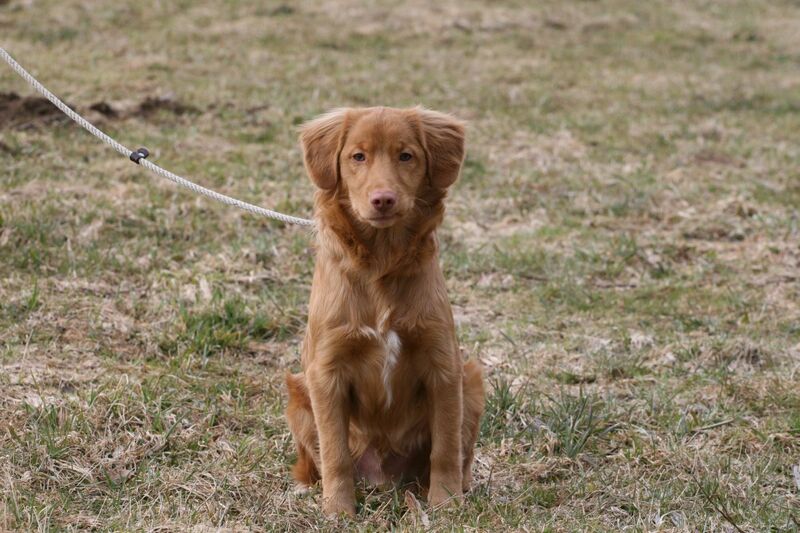 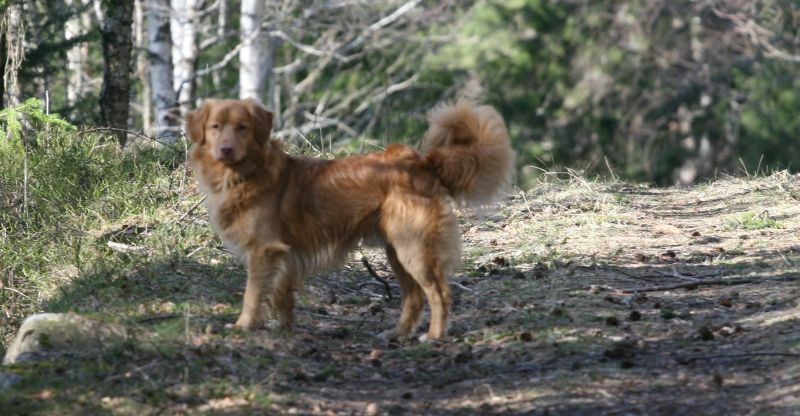 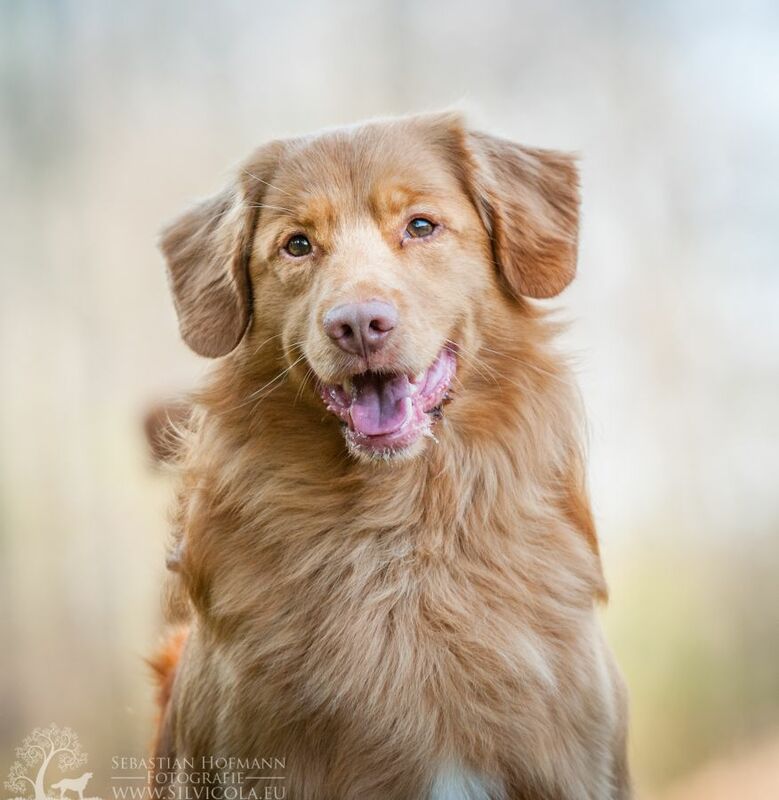 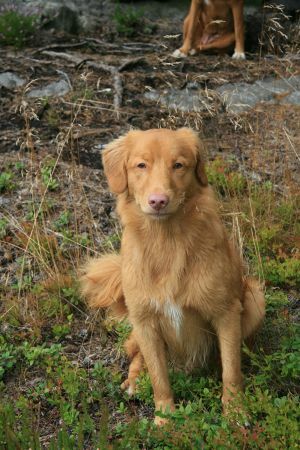 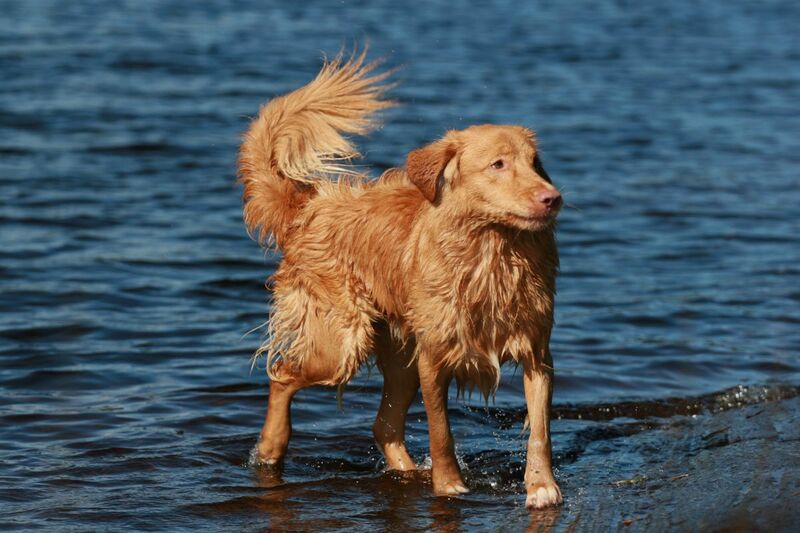 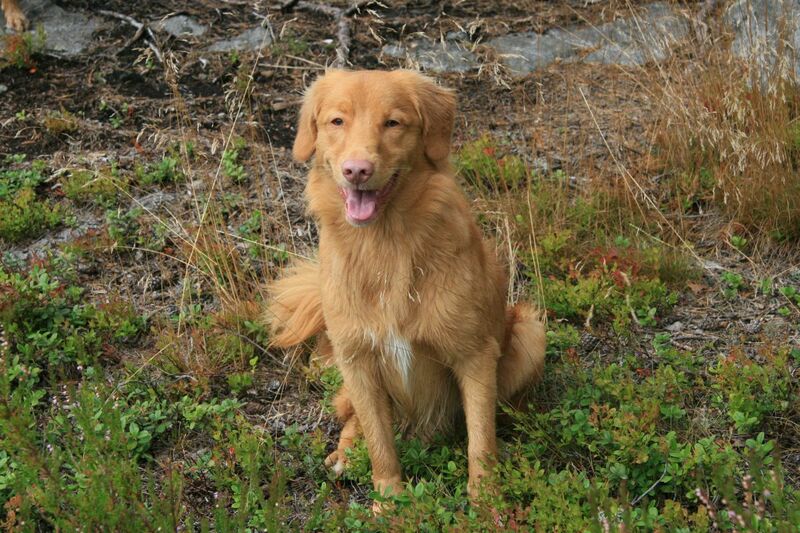 In contrast to other Tollers he loves people and is always friendly and happy. 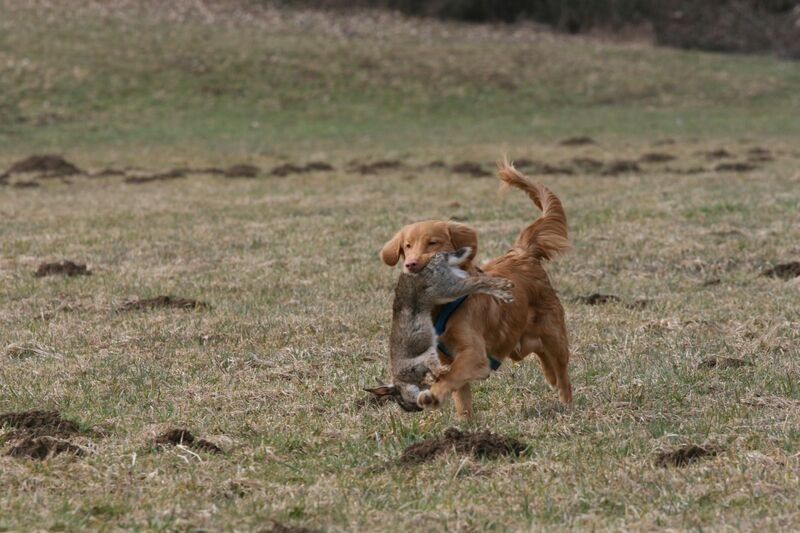 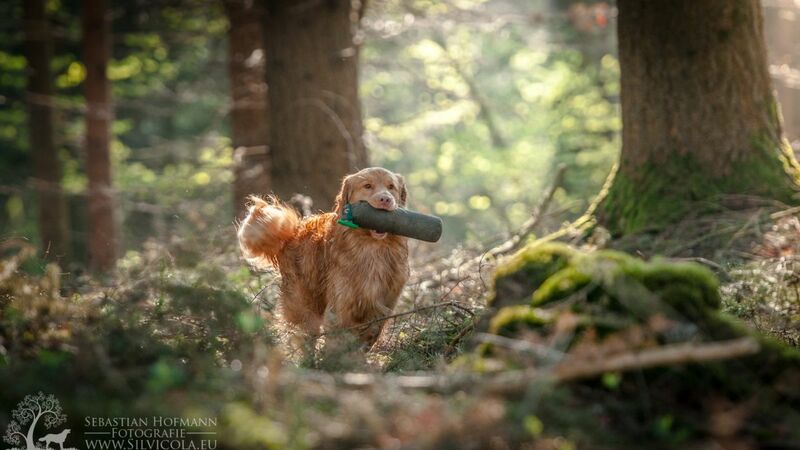 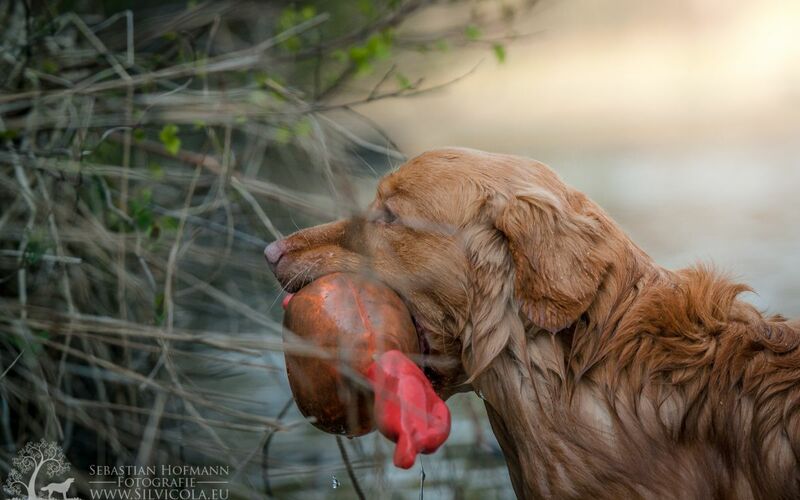 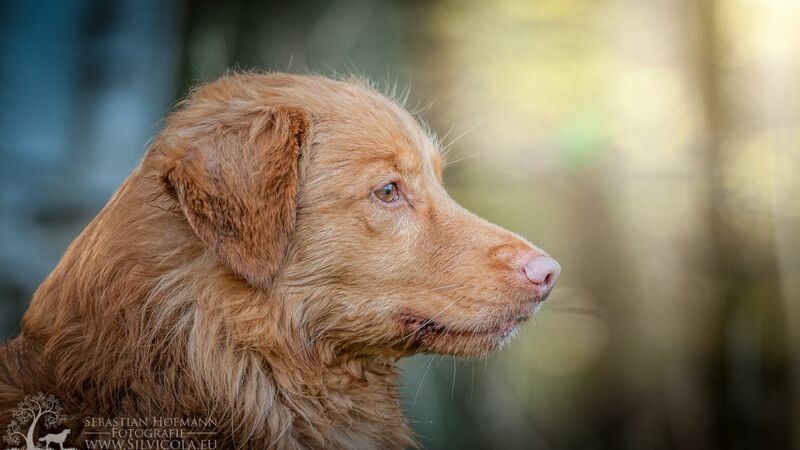 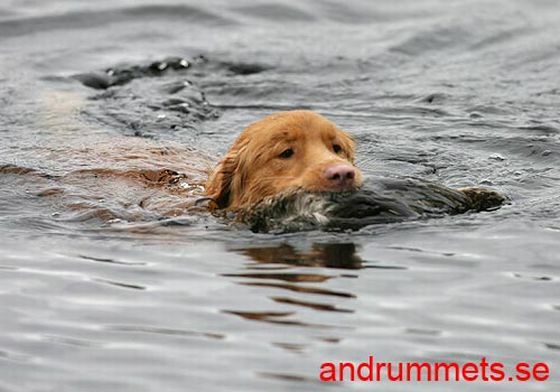 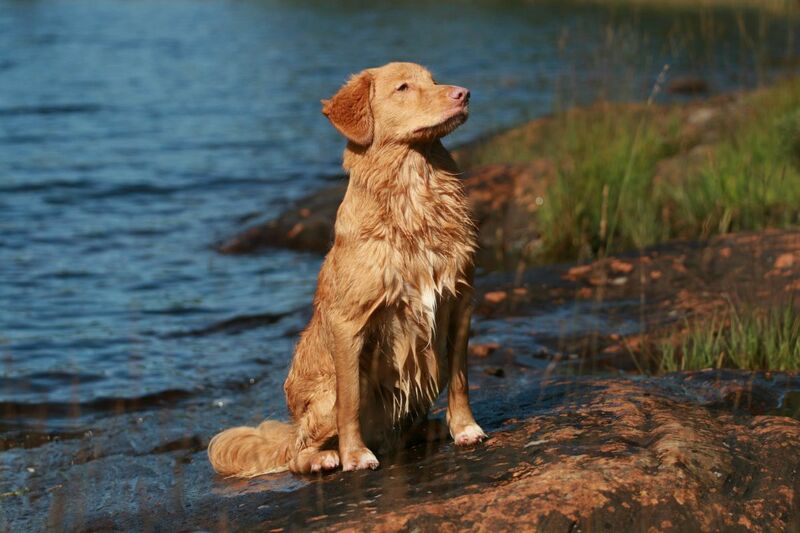 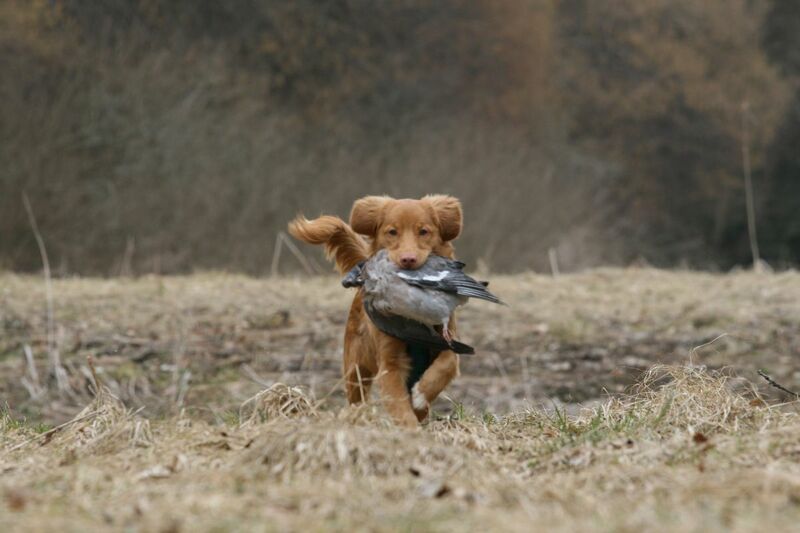 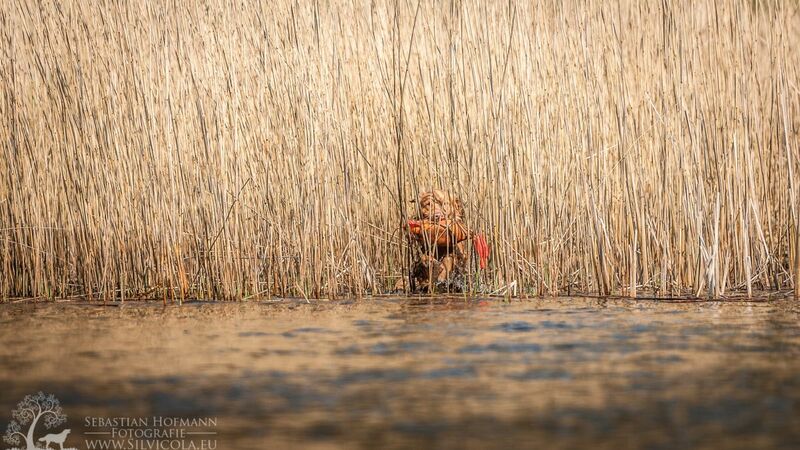 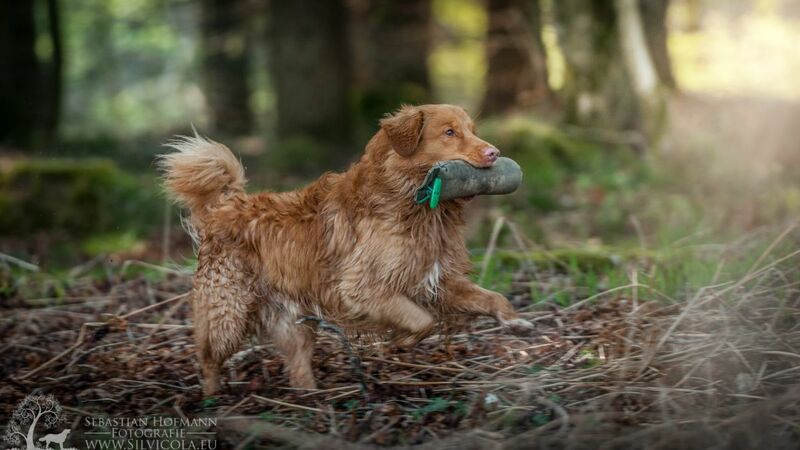 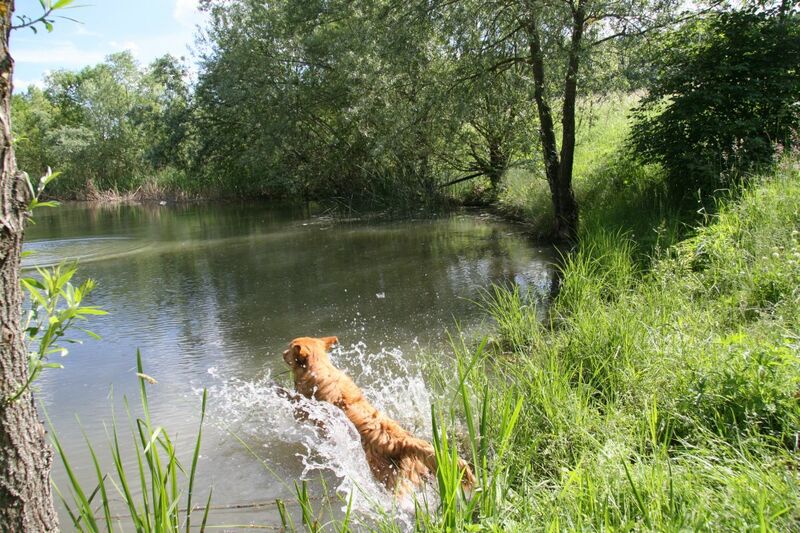 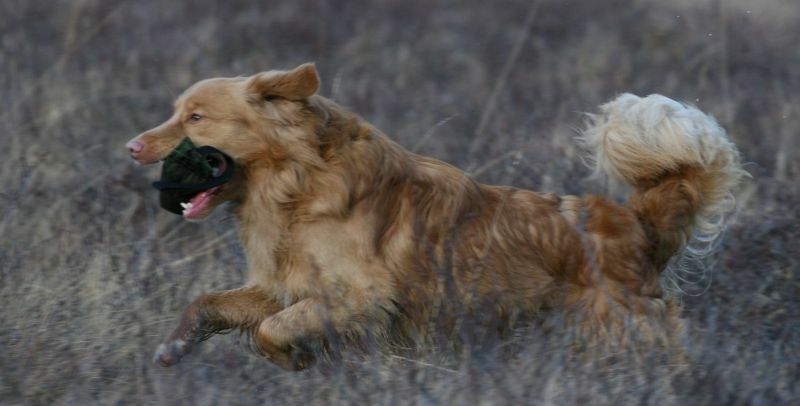 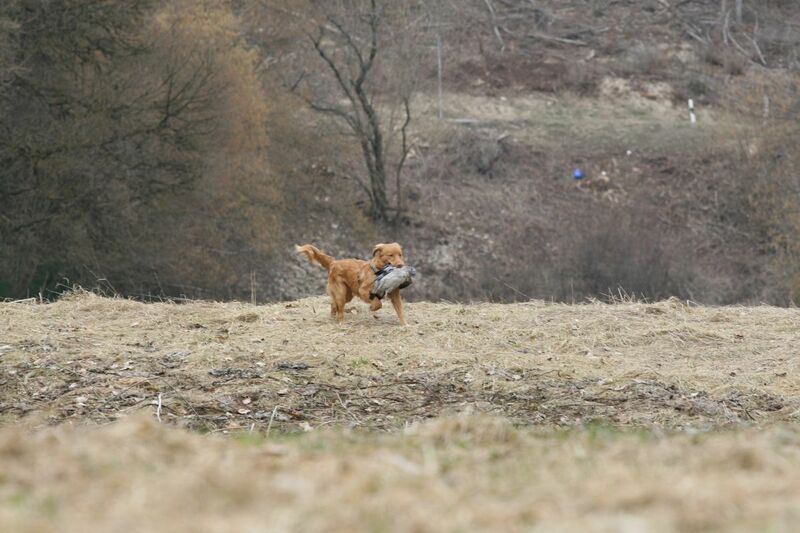 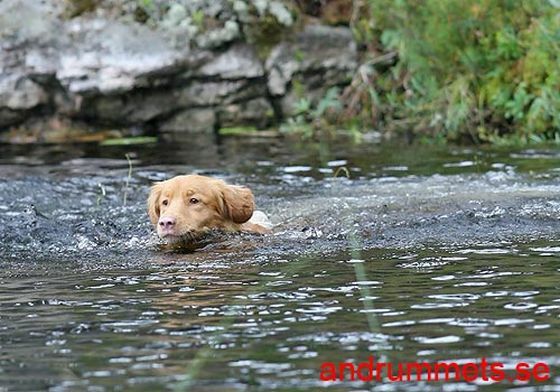 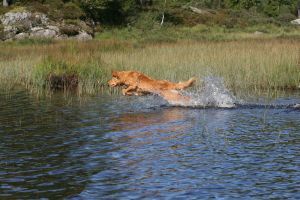 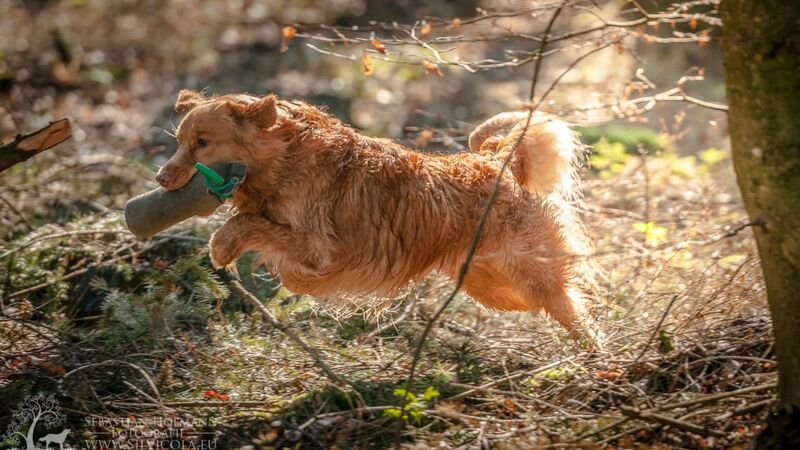 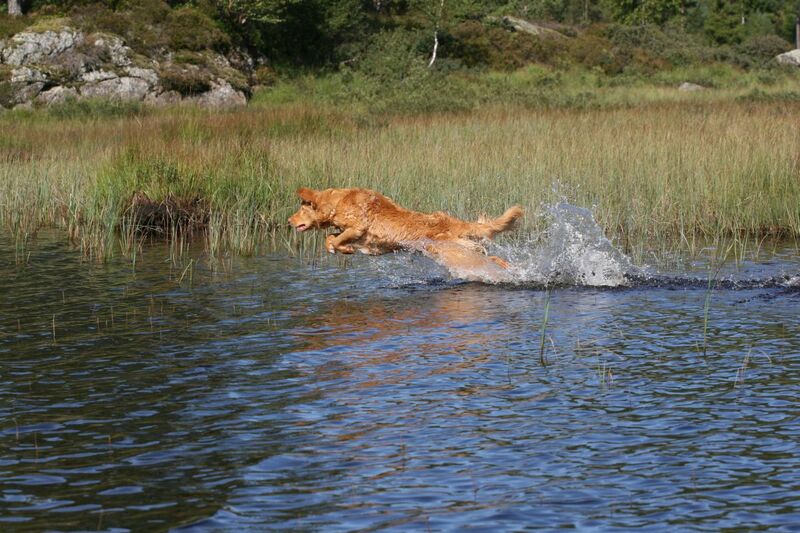 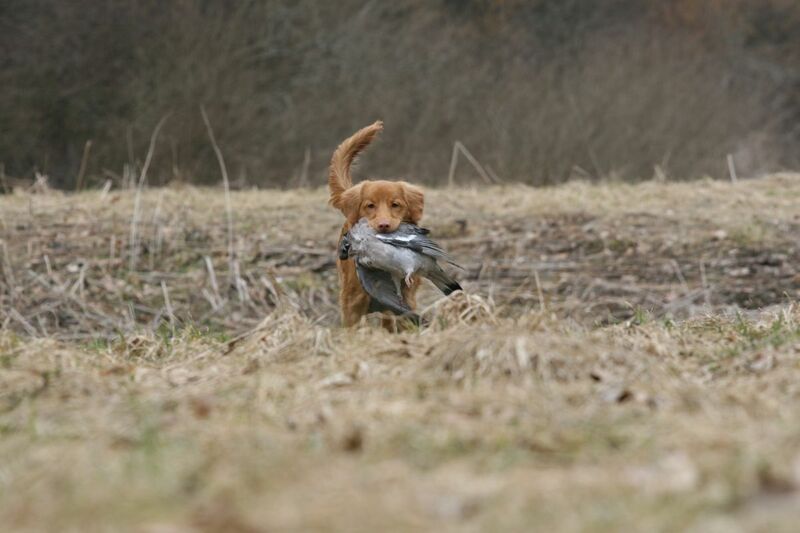 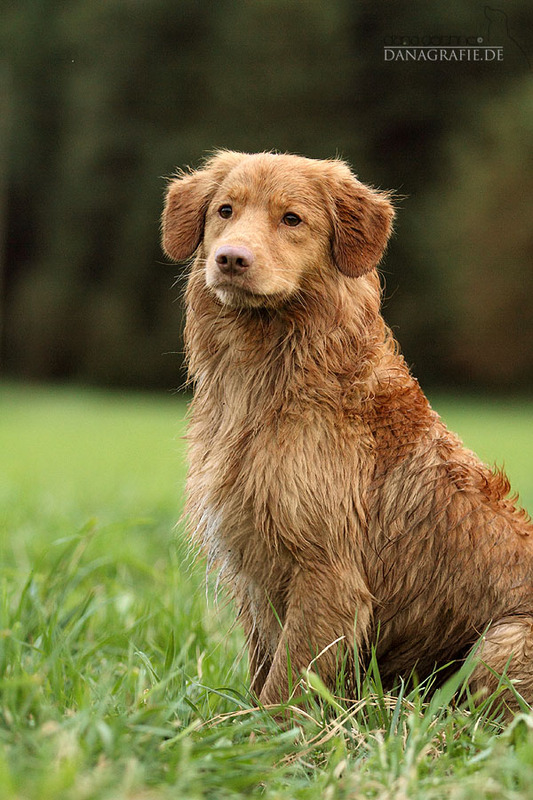 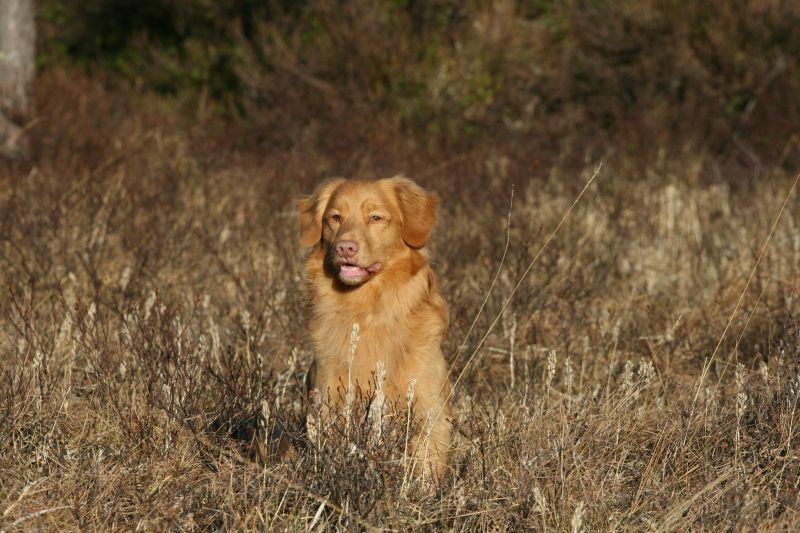 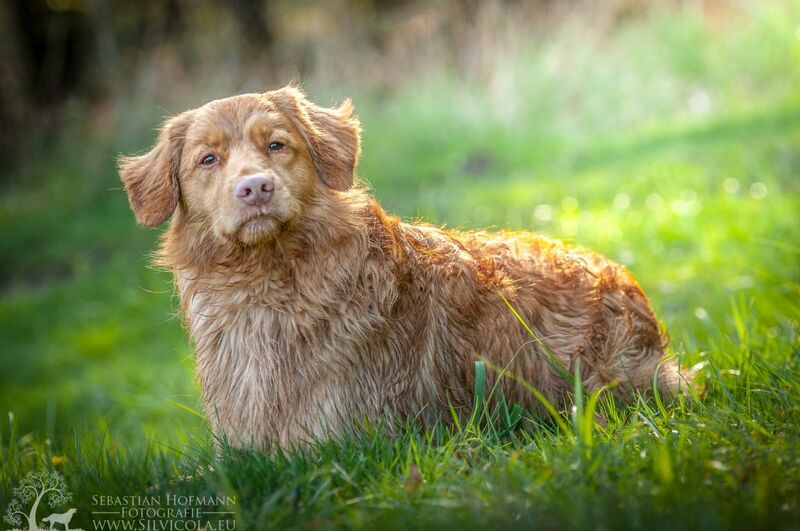 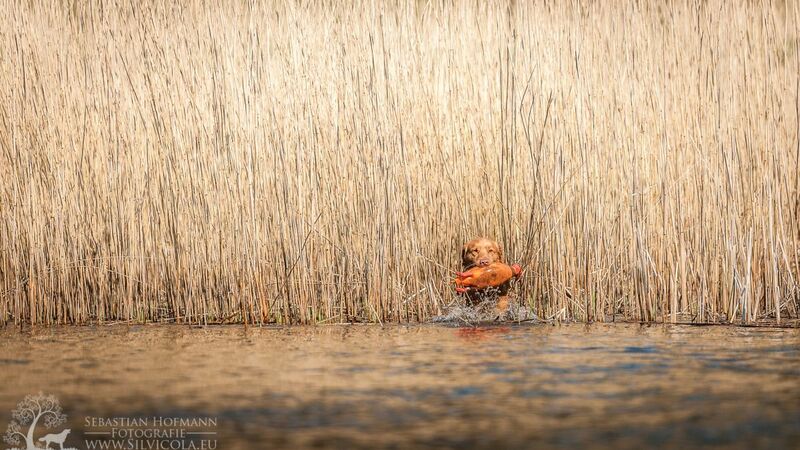 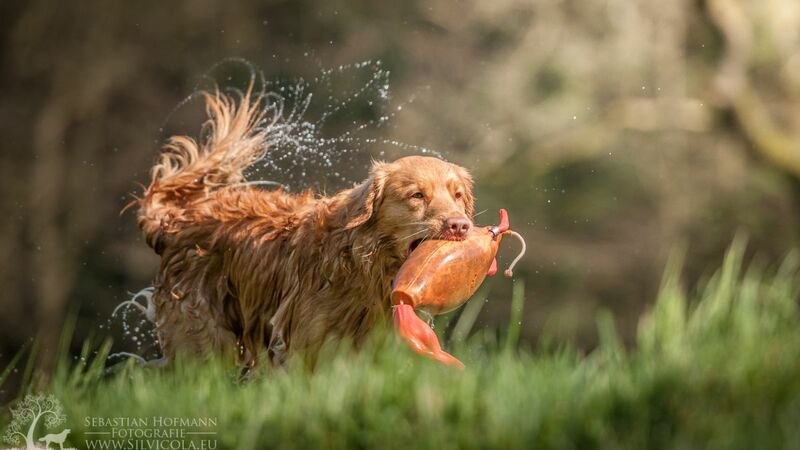 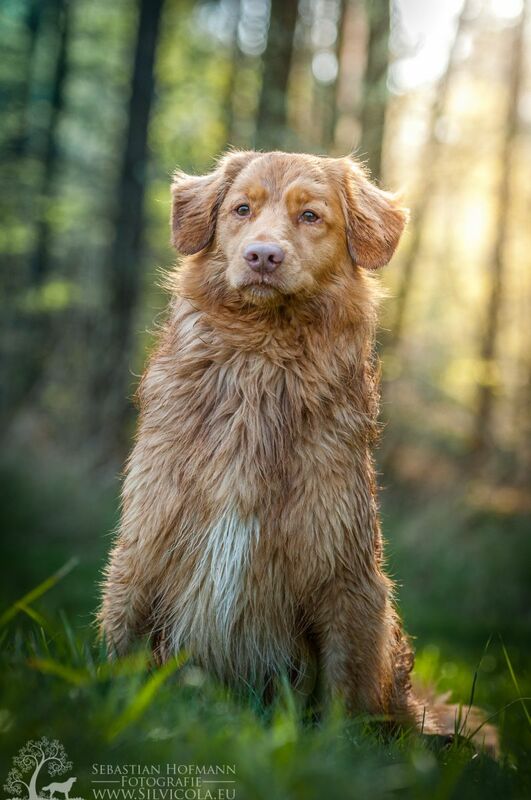 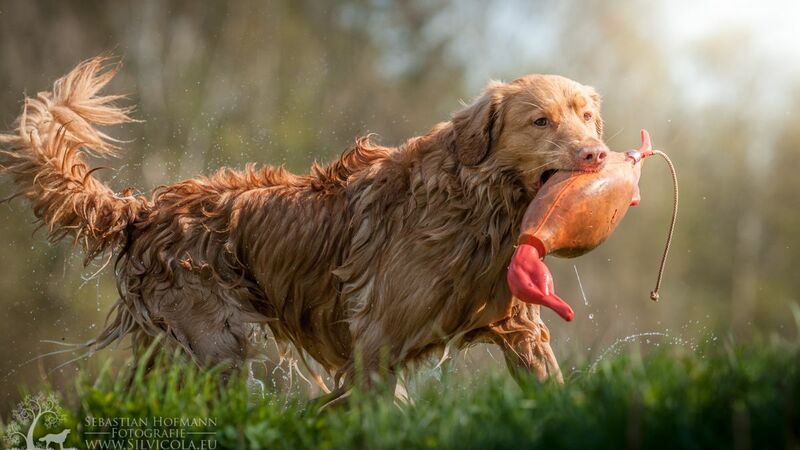 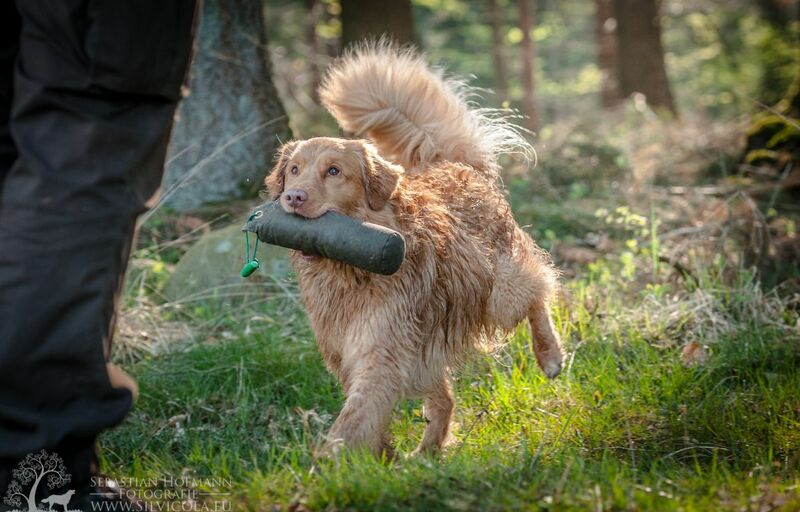 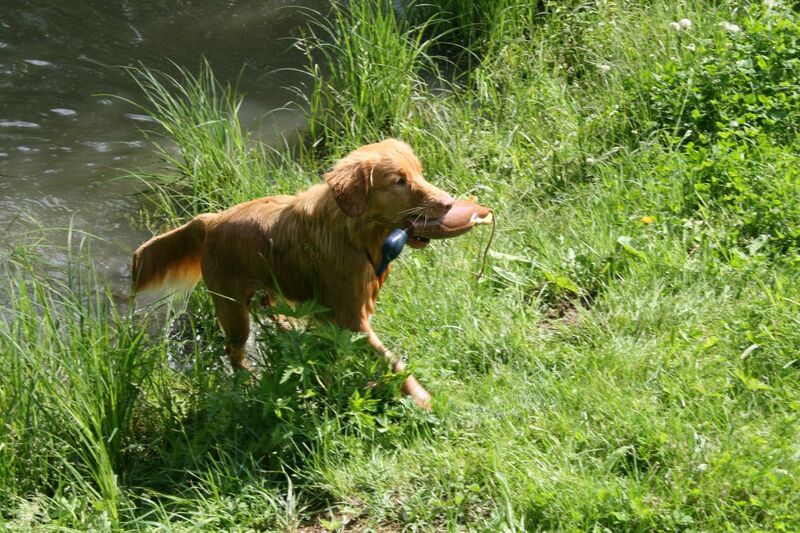 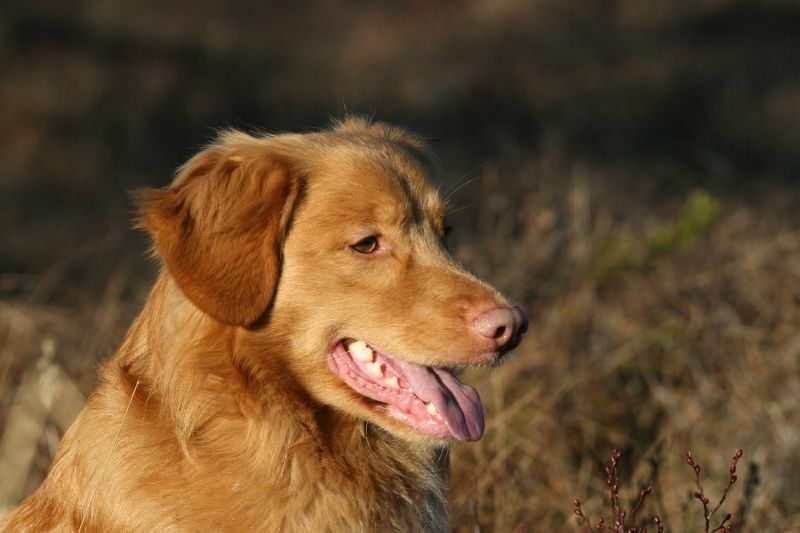 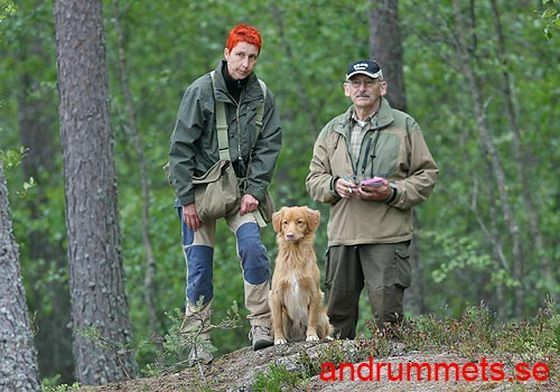 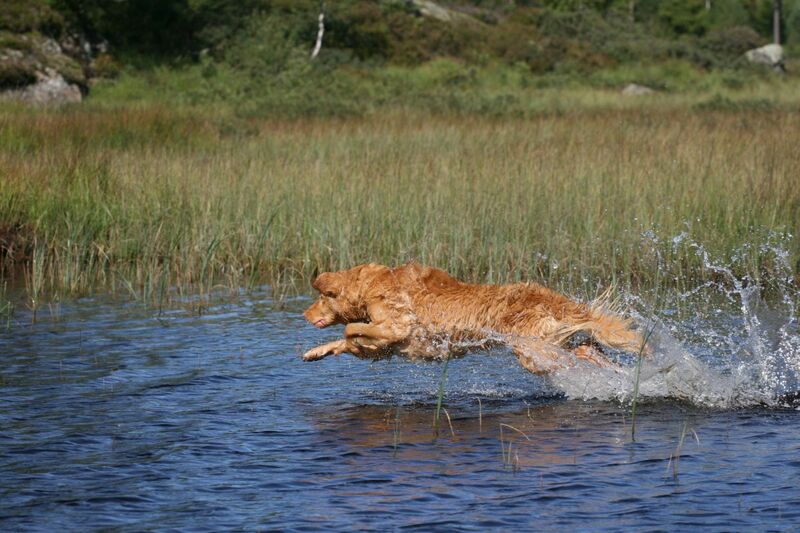 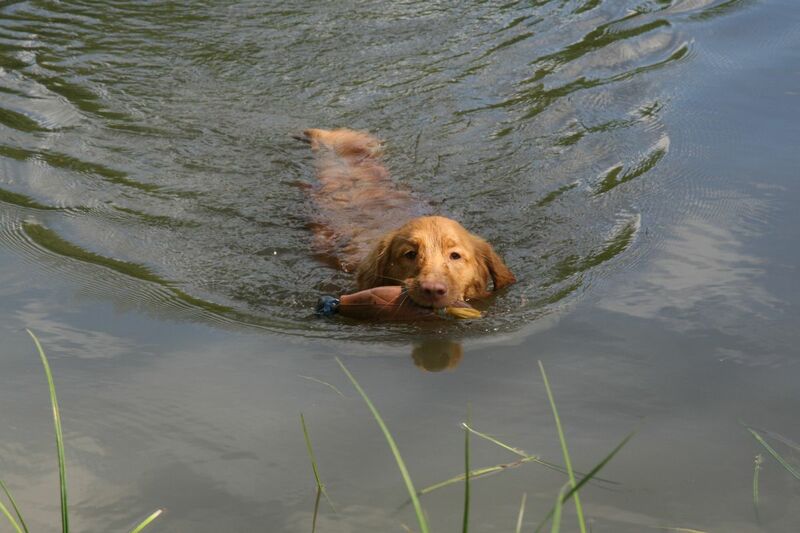 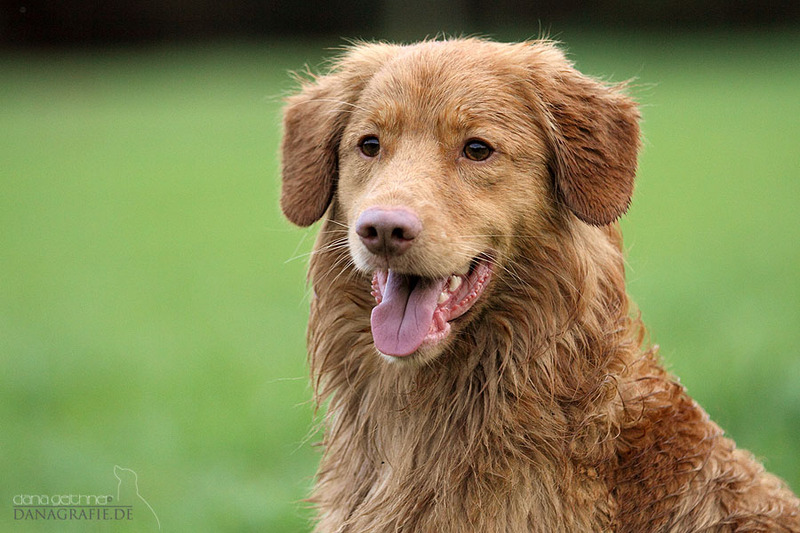 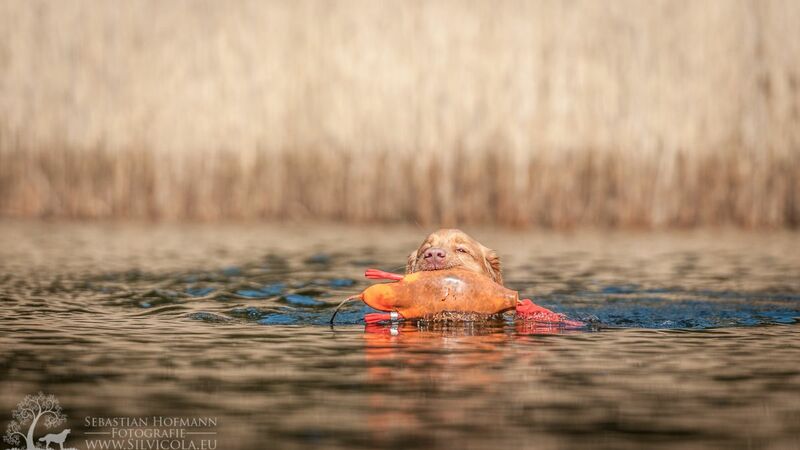 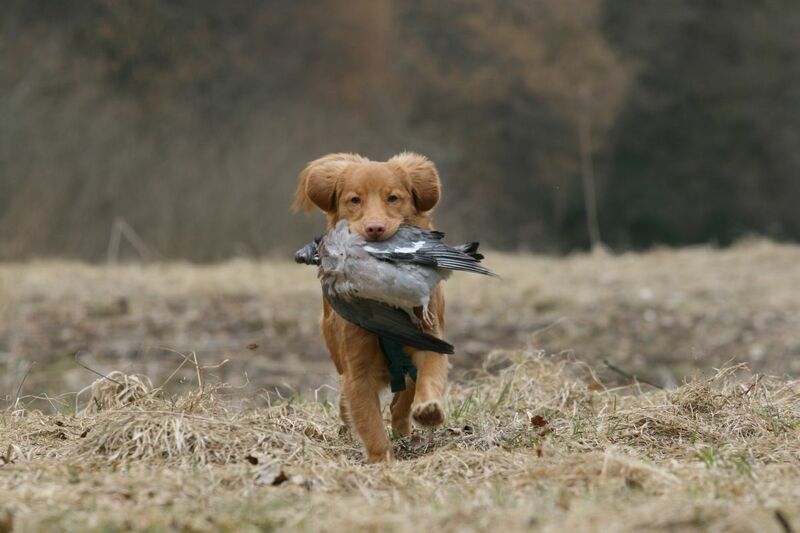 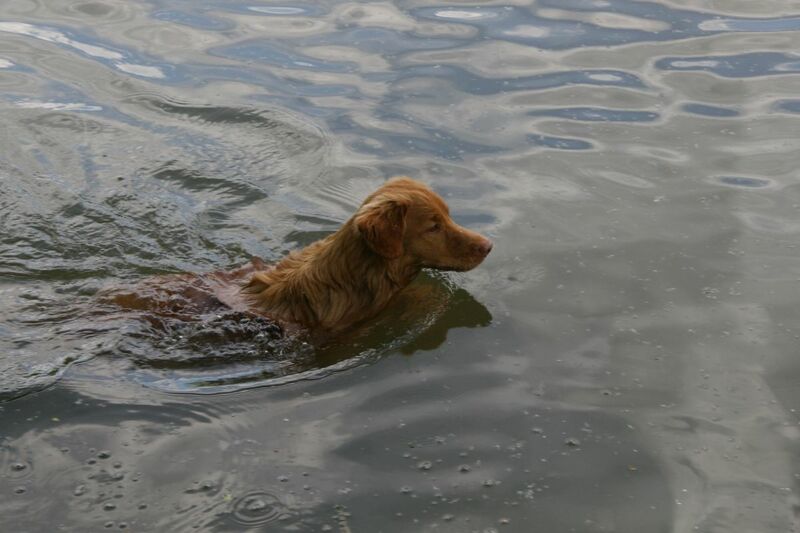 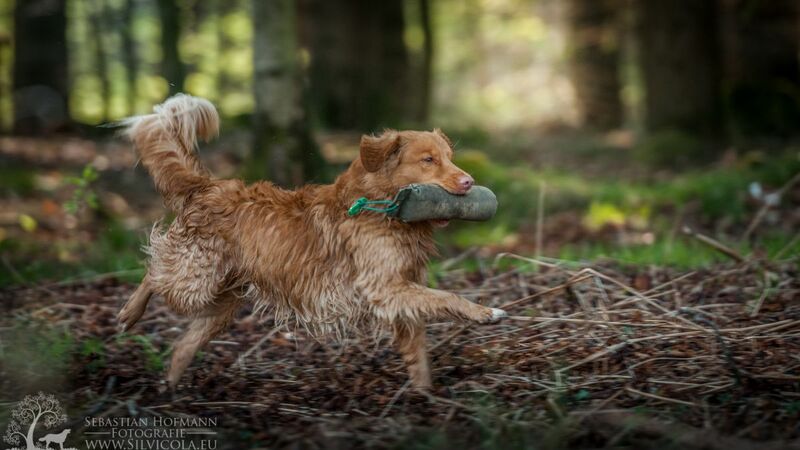 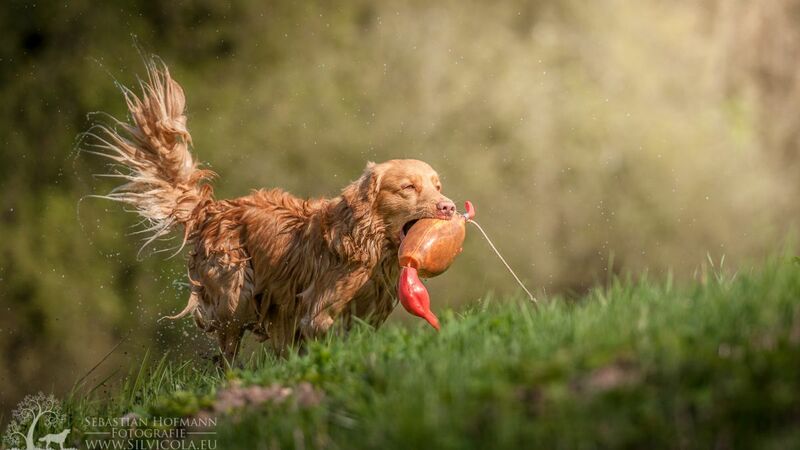 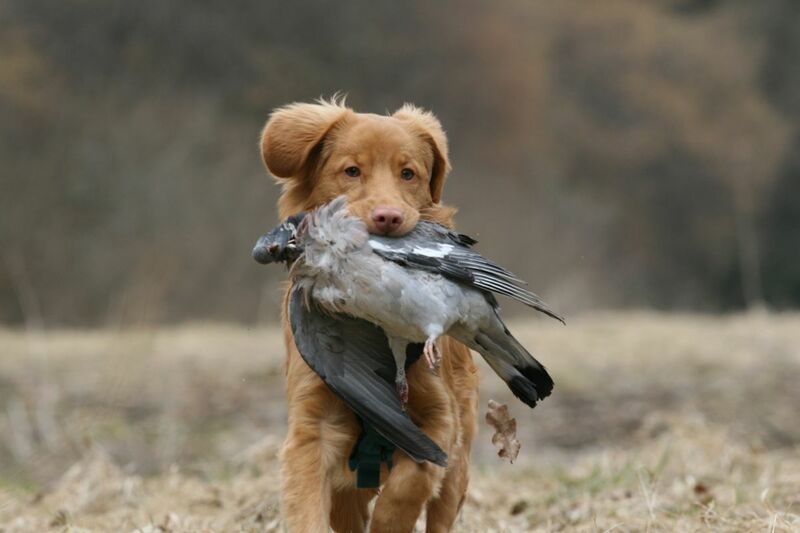 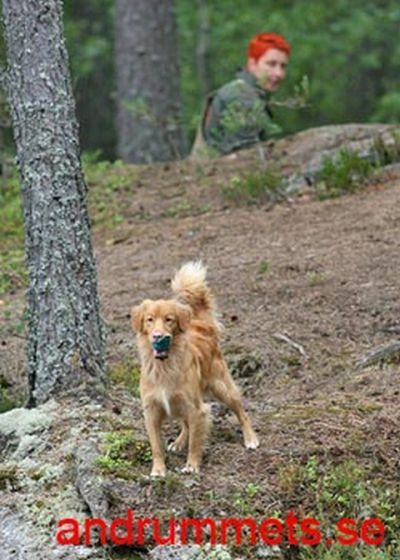 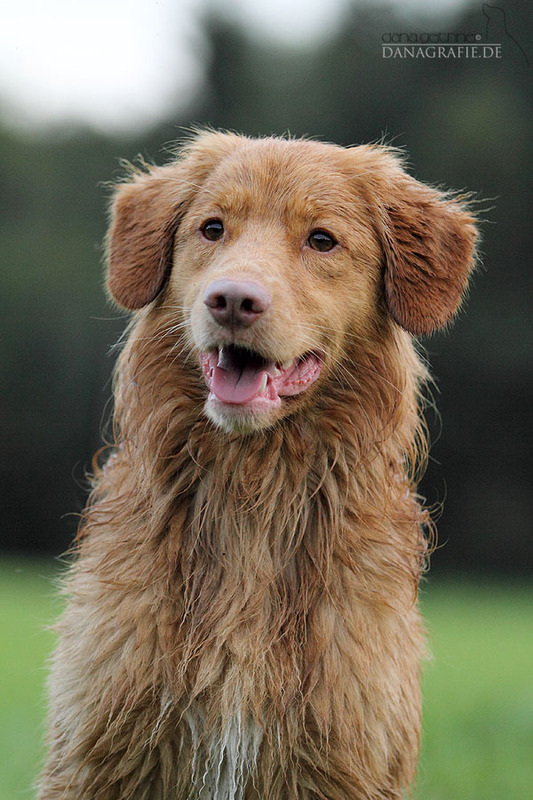 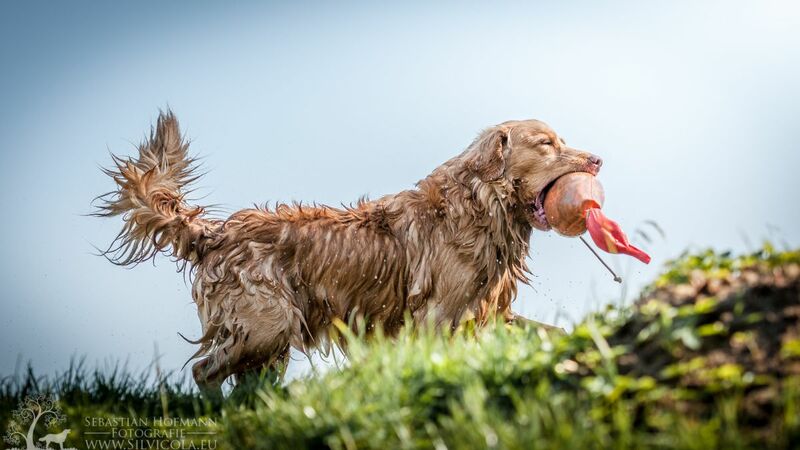 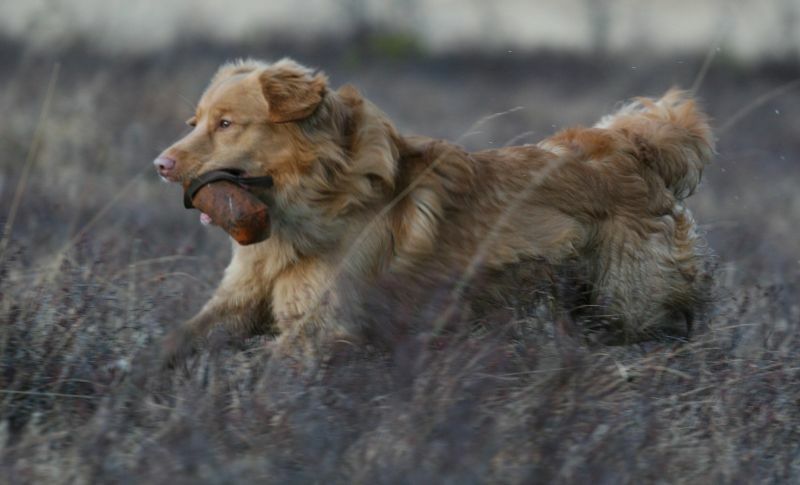 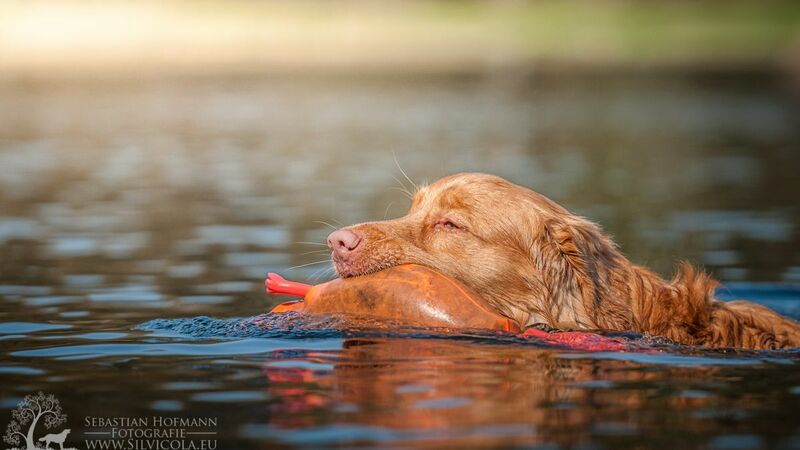 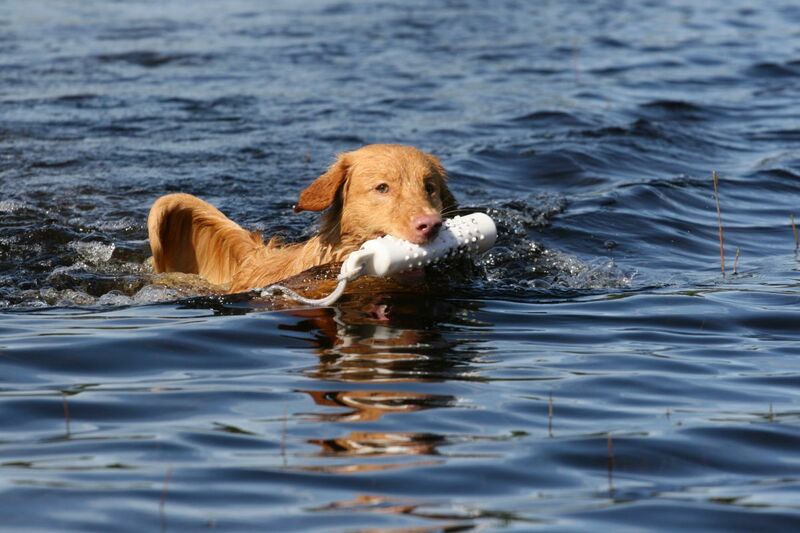 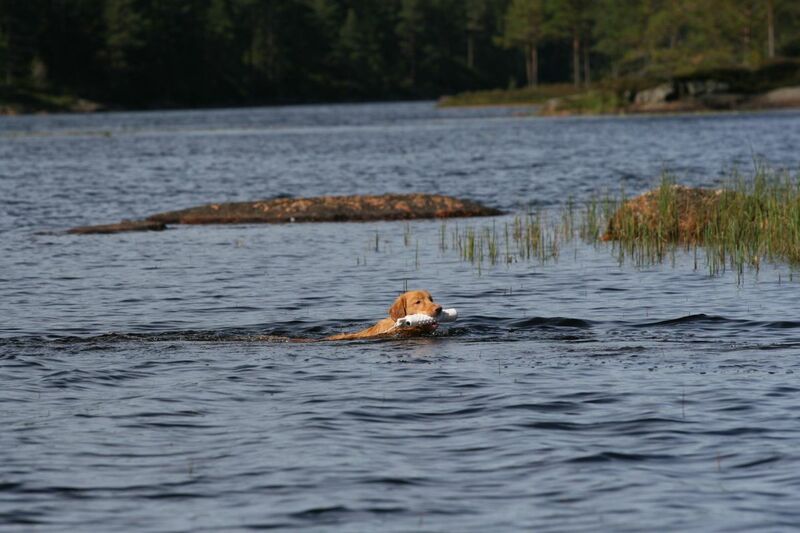 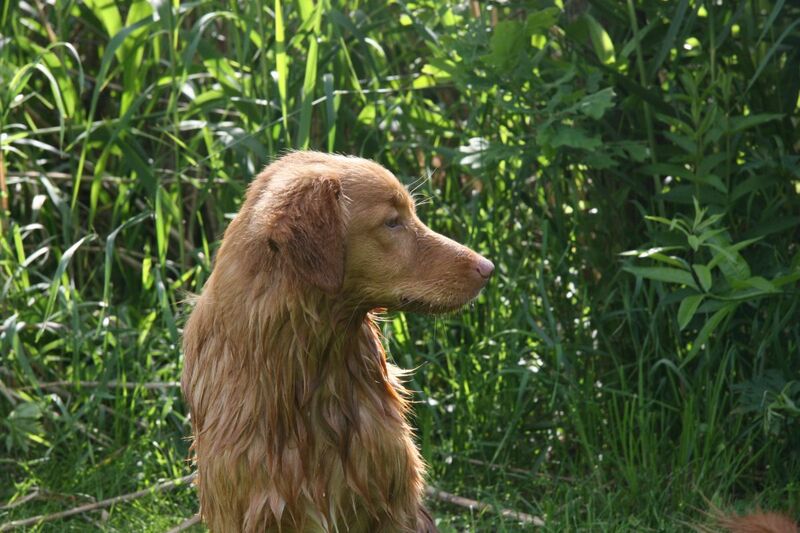 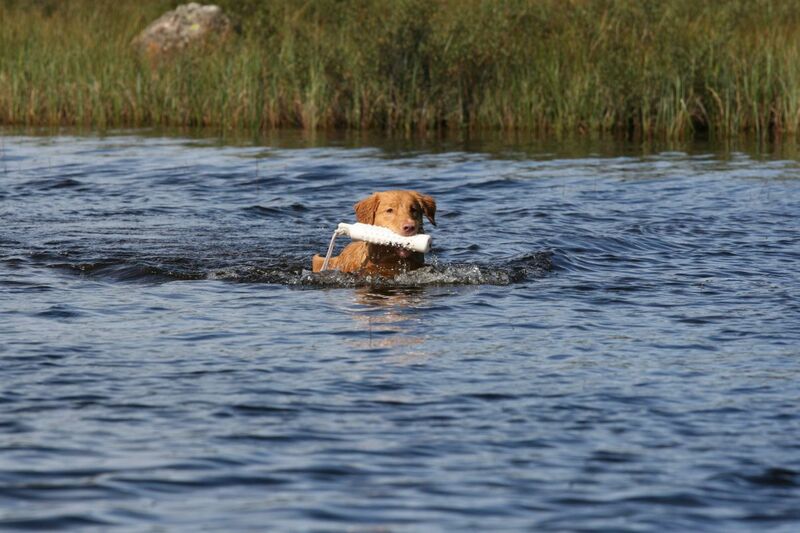 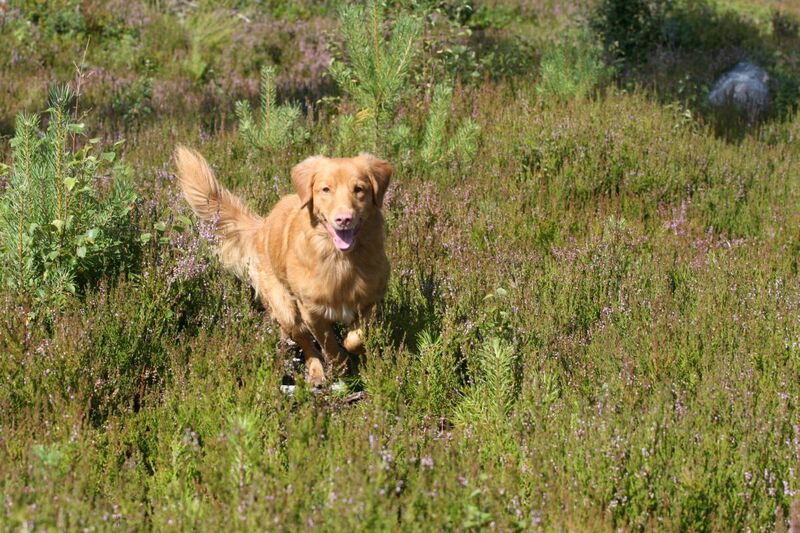 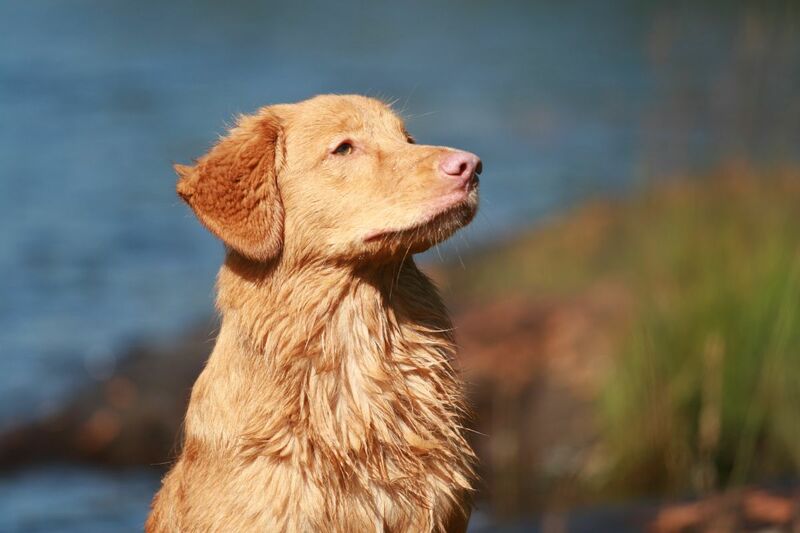 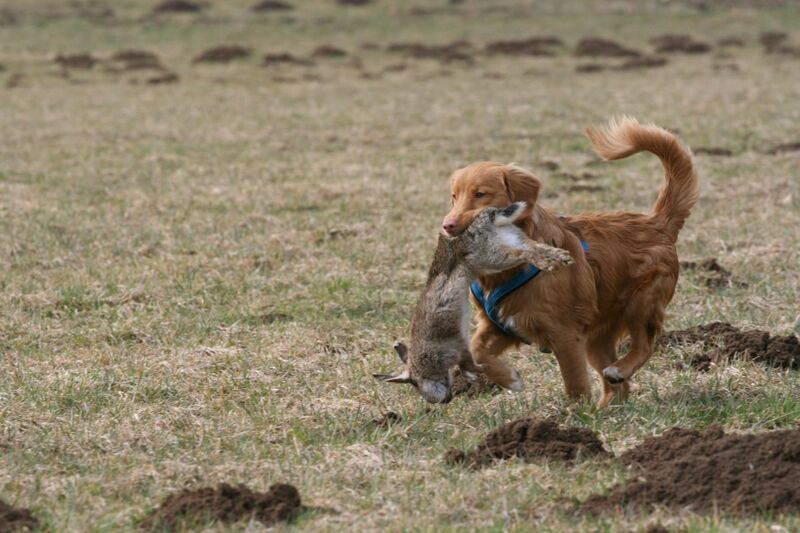 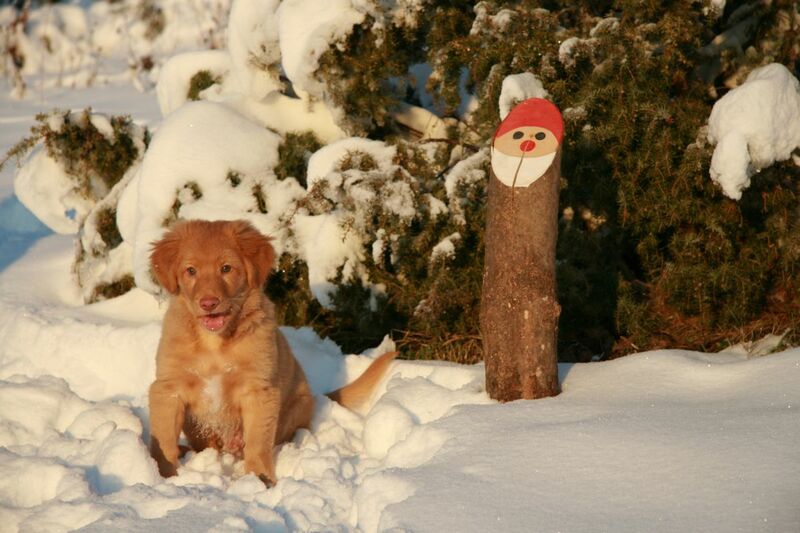 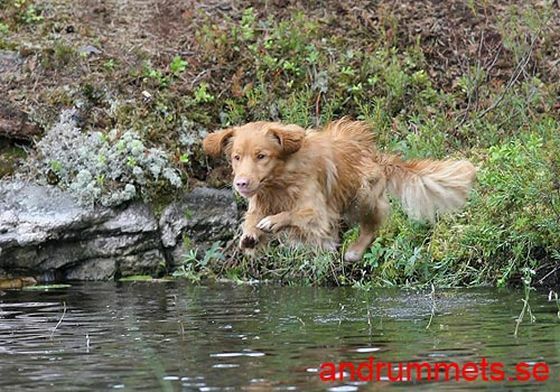 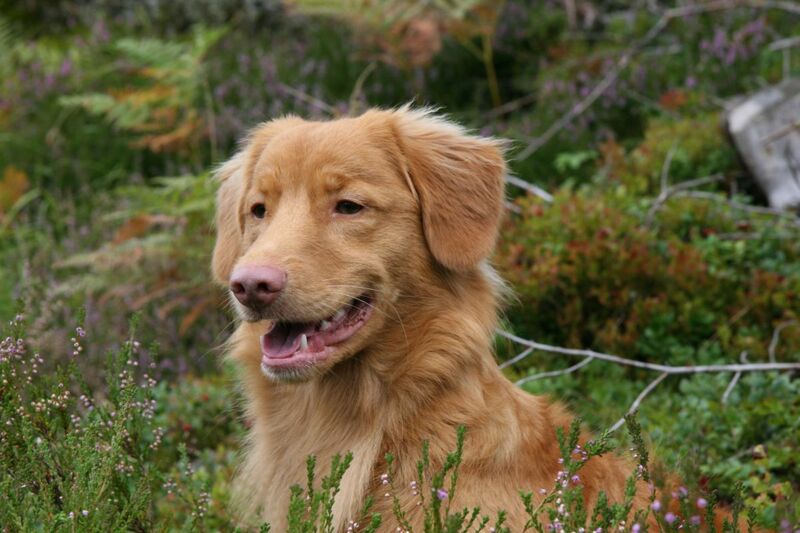 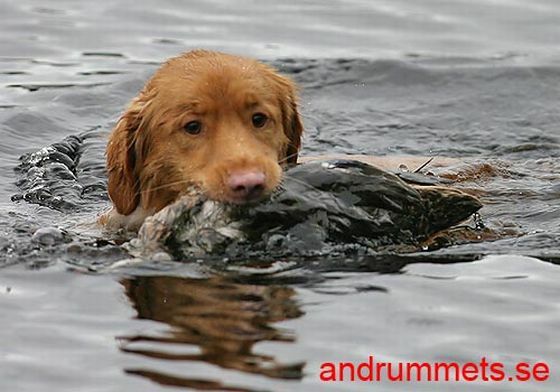 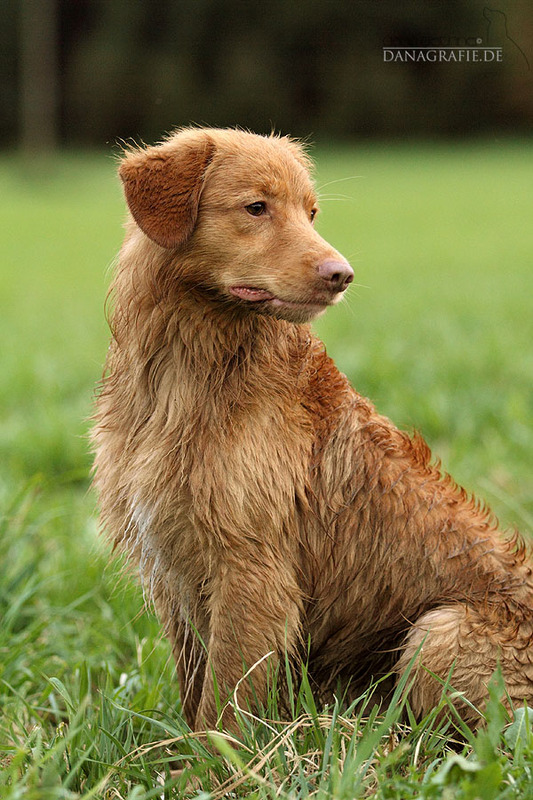 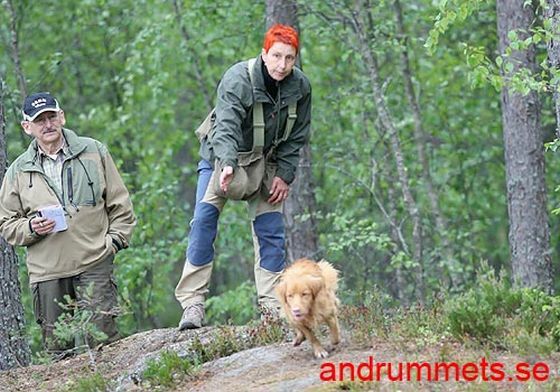 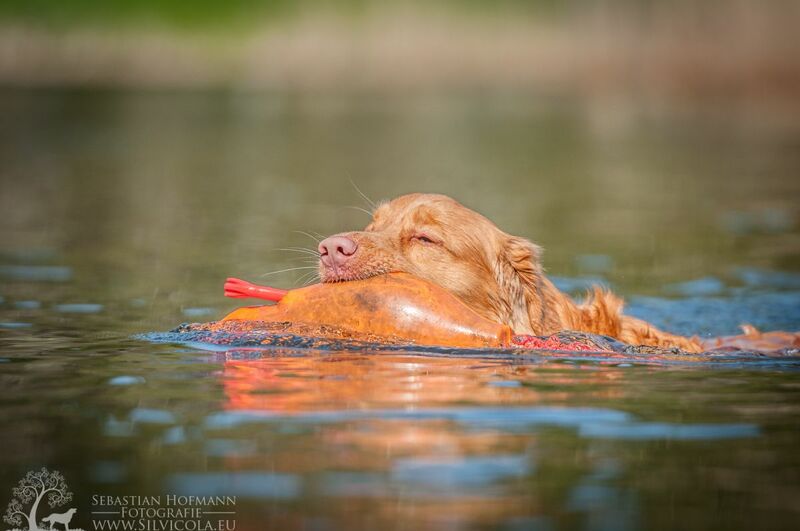 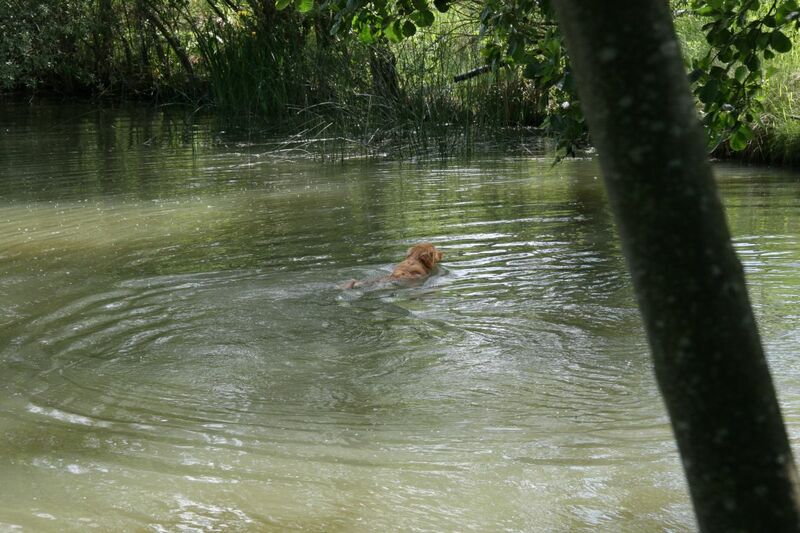 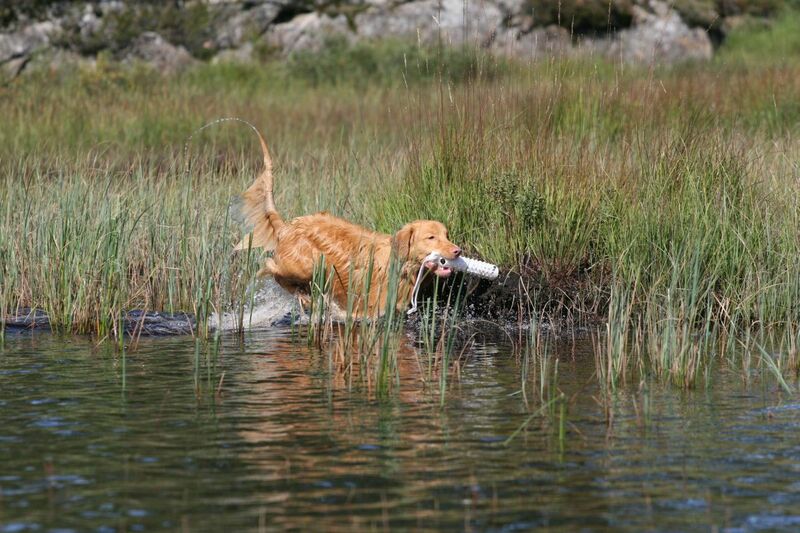 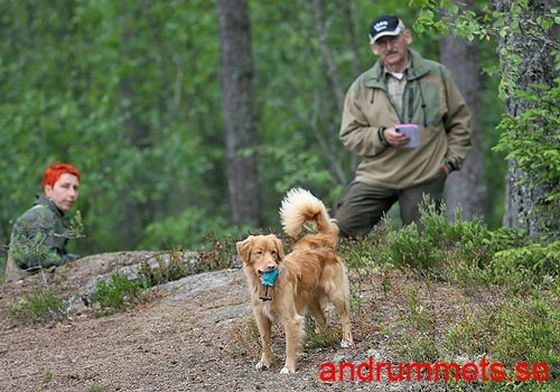 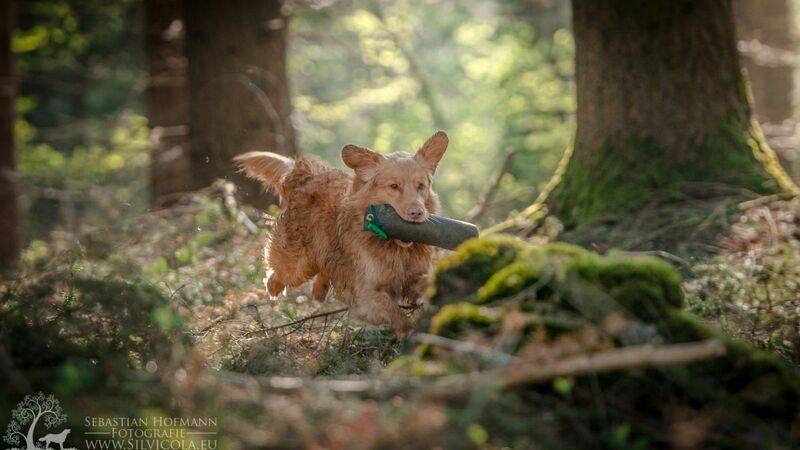 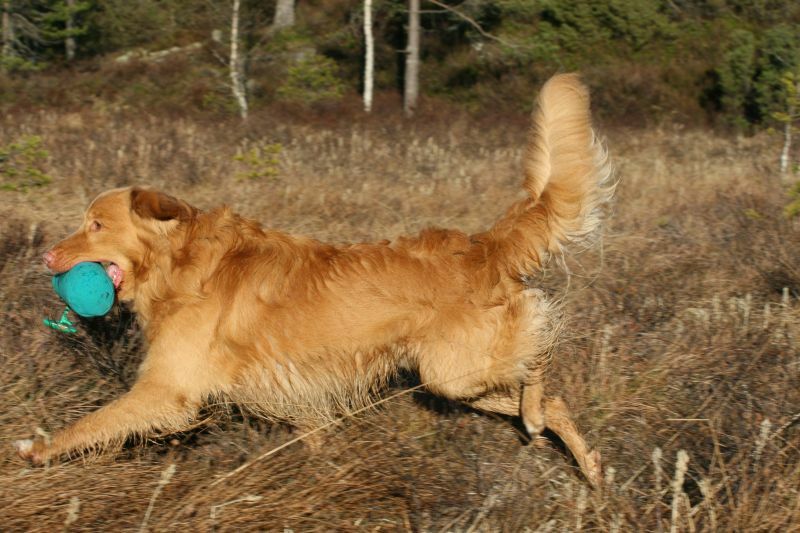 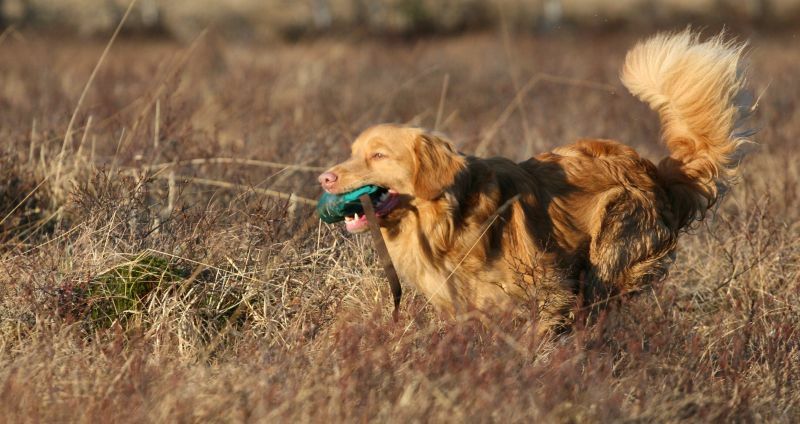 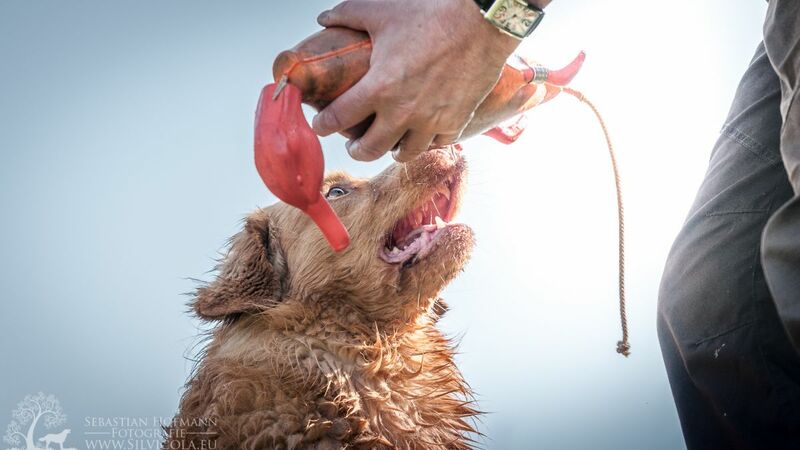 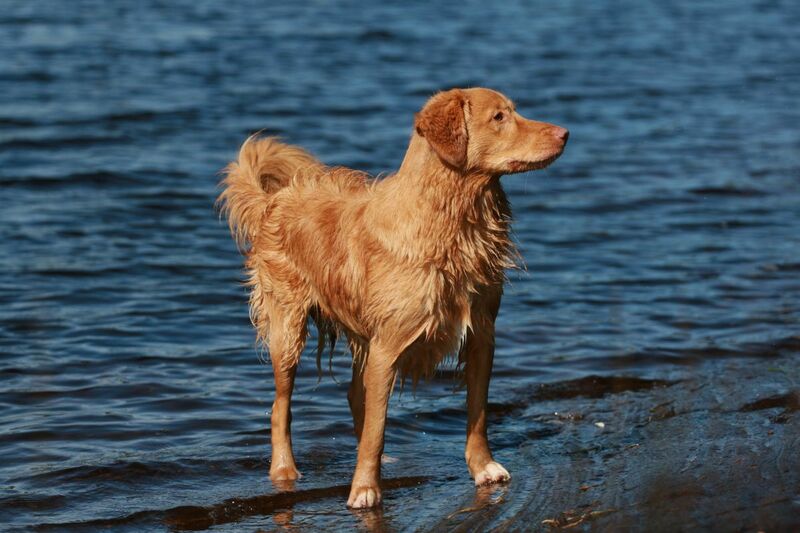 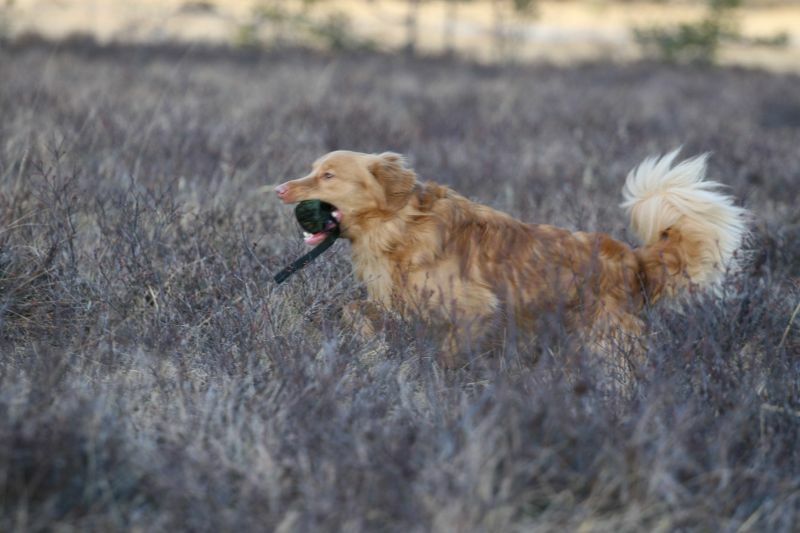 At the age of 12 months he passed his first hunting test for retrievers with a very good result. 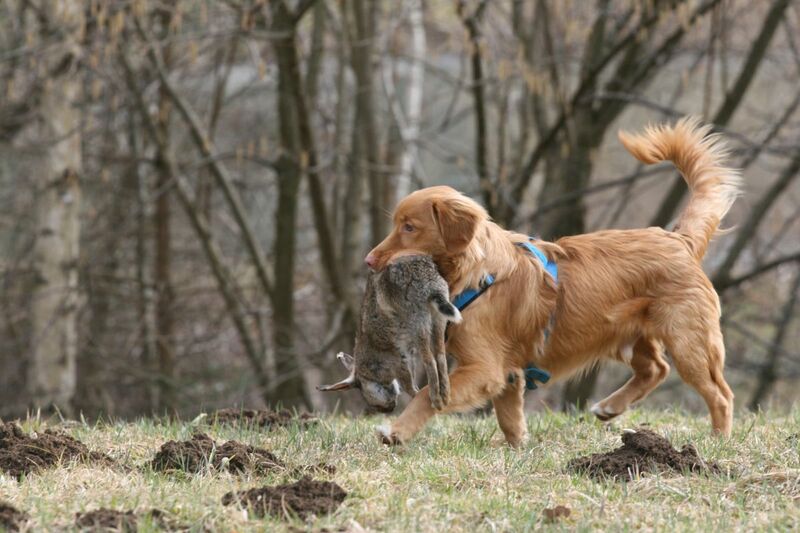 In particular he was born for hunting work. 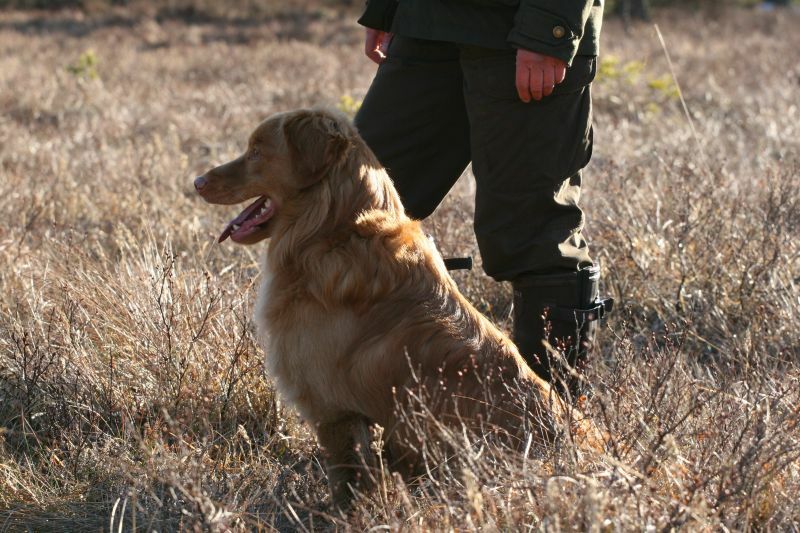 Here he can show what the breed was made for and some specimen still show today. 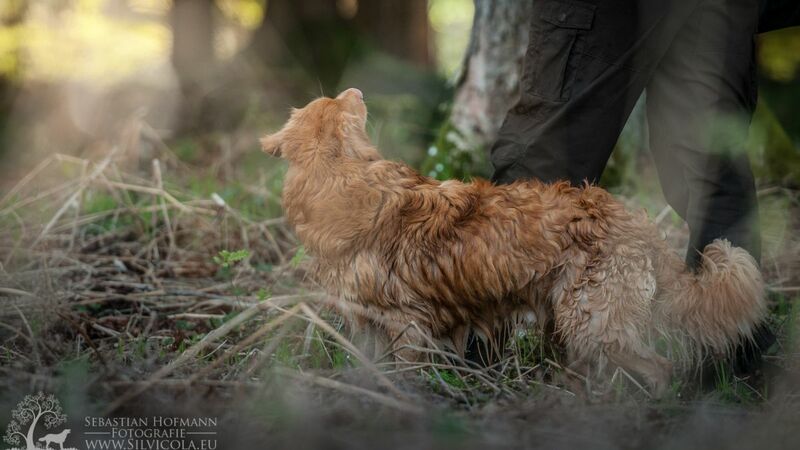 Even at the Temperament-test � before it even started � during the judges� questionnaire (she likes the dogs being loose) he examined the whole area. 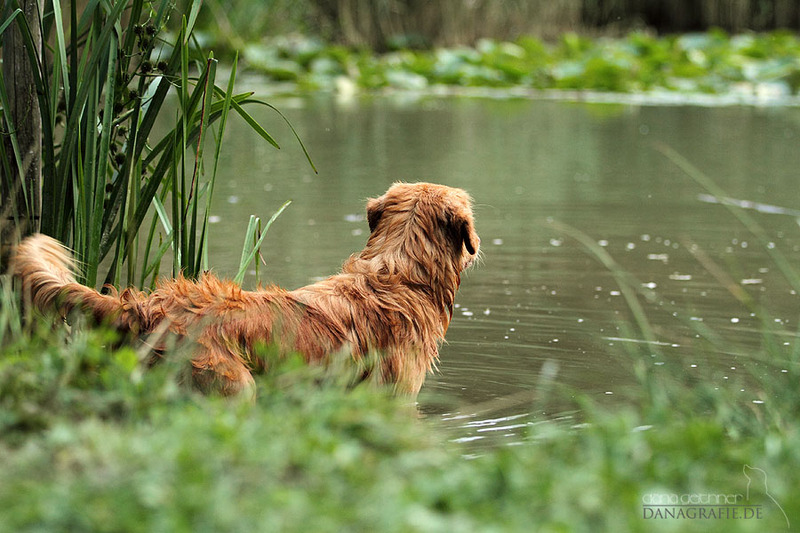 �It cannot be that there is nothing here to search and find� And he greeted all of the people. 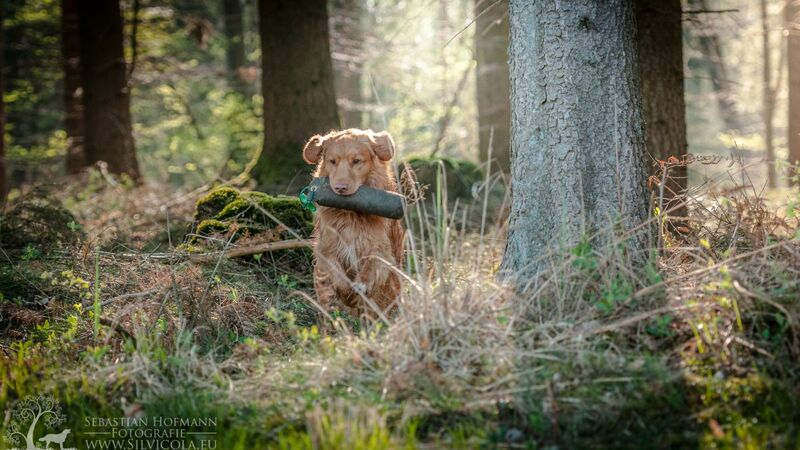 He wants precise structures and difficult exercises in his training. 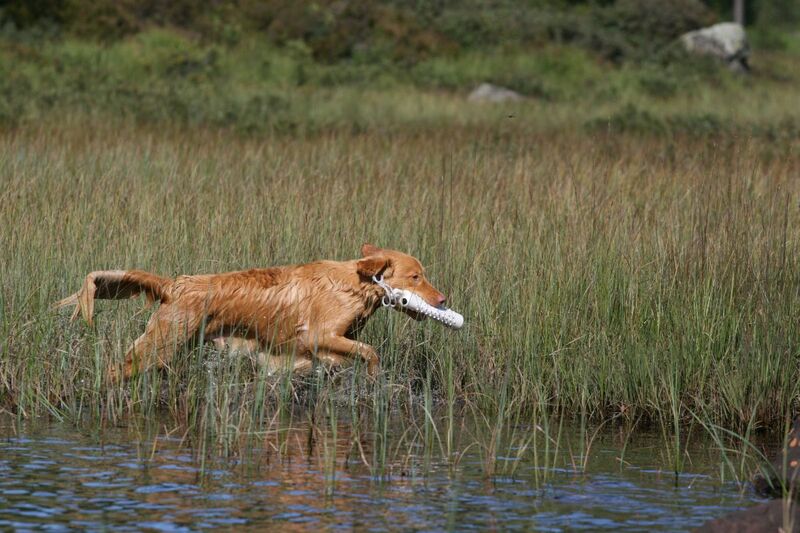 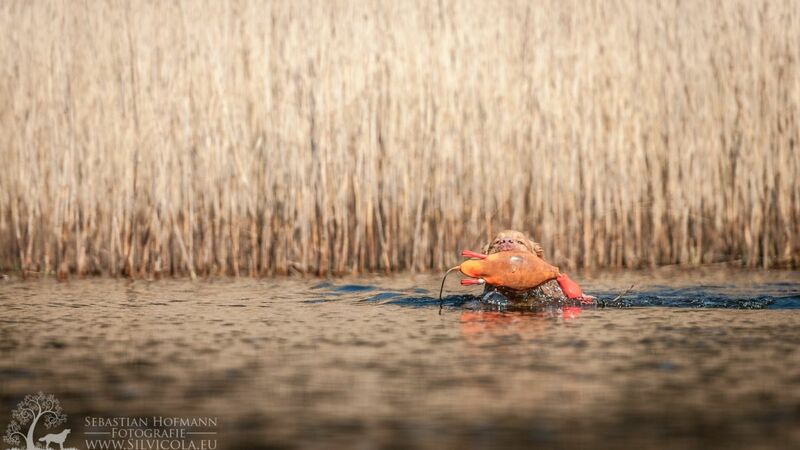 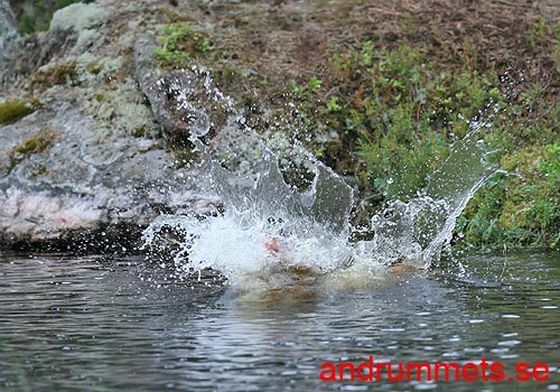 In the field he is very tough - Blackberries, thicket, or reeds � nothing can stop him! 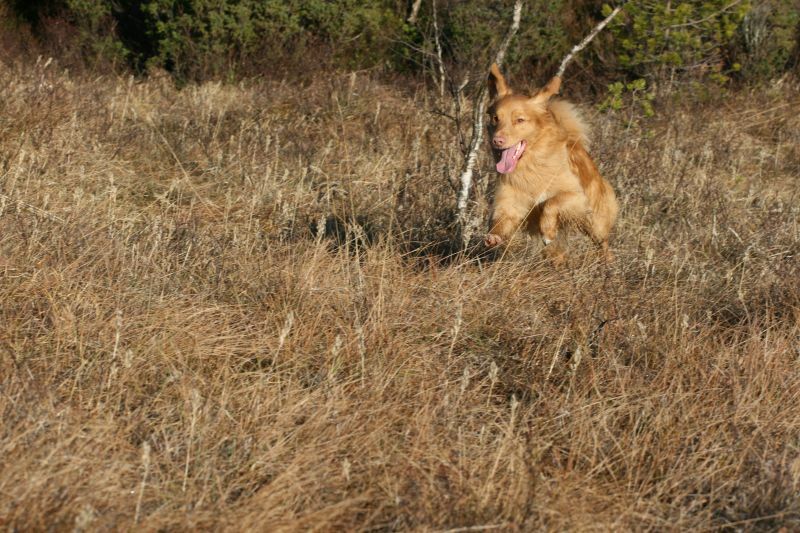 We are going to keep on watching his development very carefully and will assist and challenge him, certainly living and working with him will stay pleasurable. 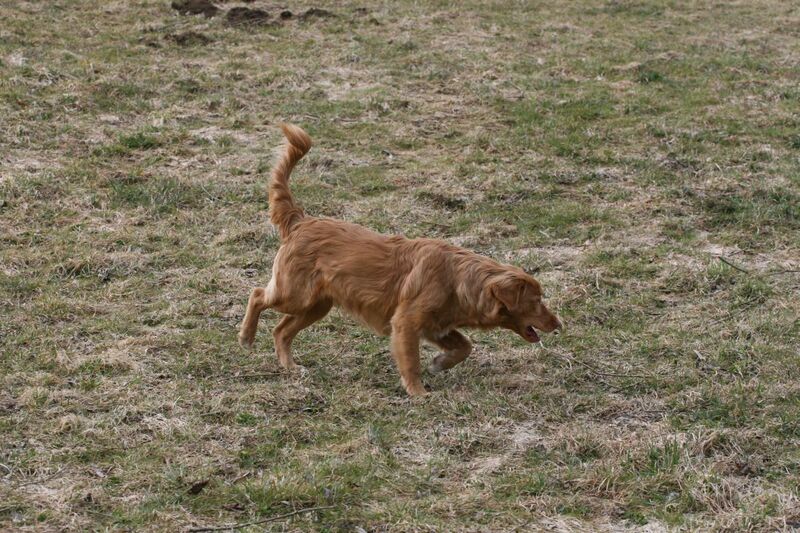 Already the pack is unthinkable without him. 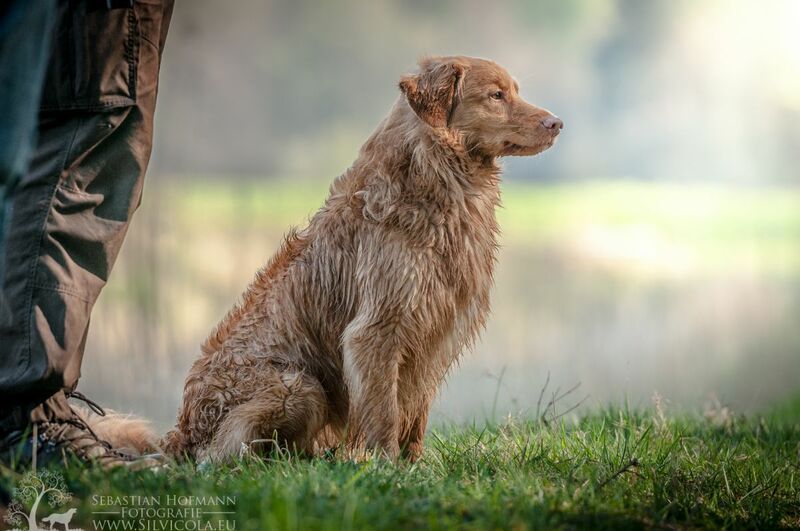 In total: Winner "Work and Show"
Breeding-licence (DRC) 09.08.2011 Qualified for the program "Special hunting-breed"
The 13 month old male is very agile. 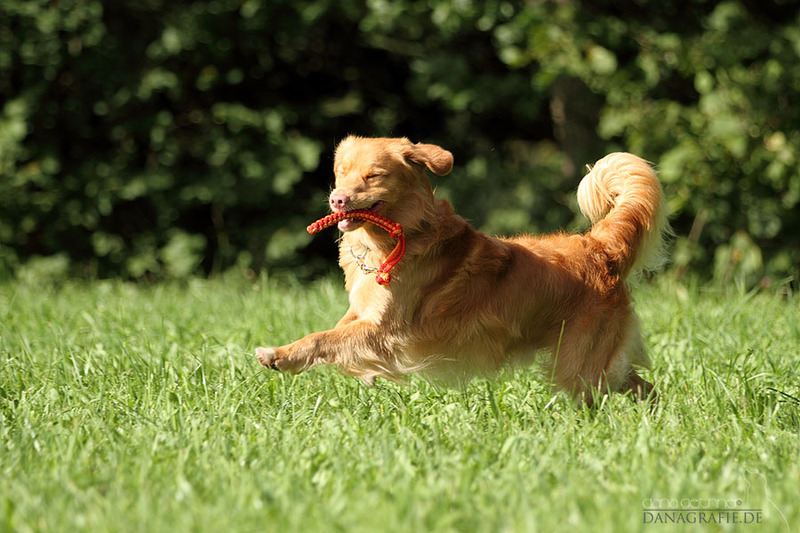 He has a distinctive drive and a playful attitude. 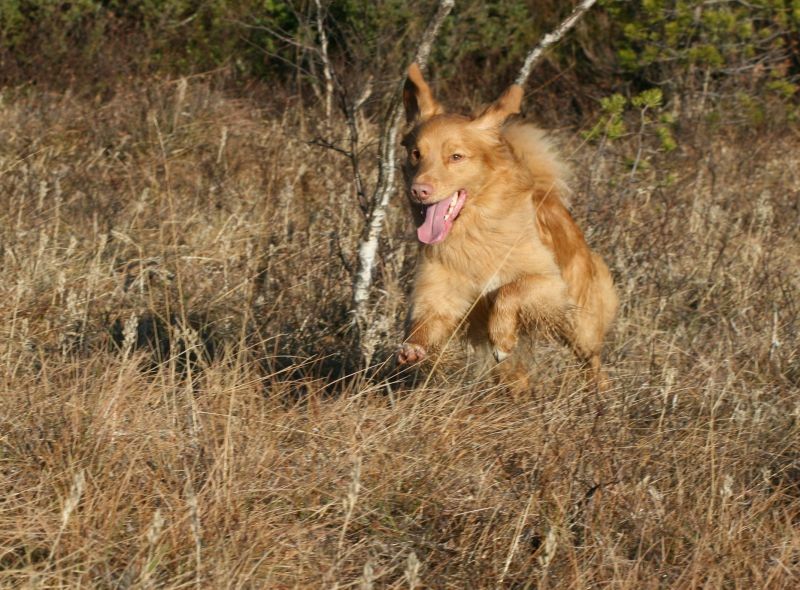 He has a high degree of alertness and is very persistent. 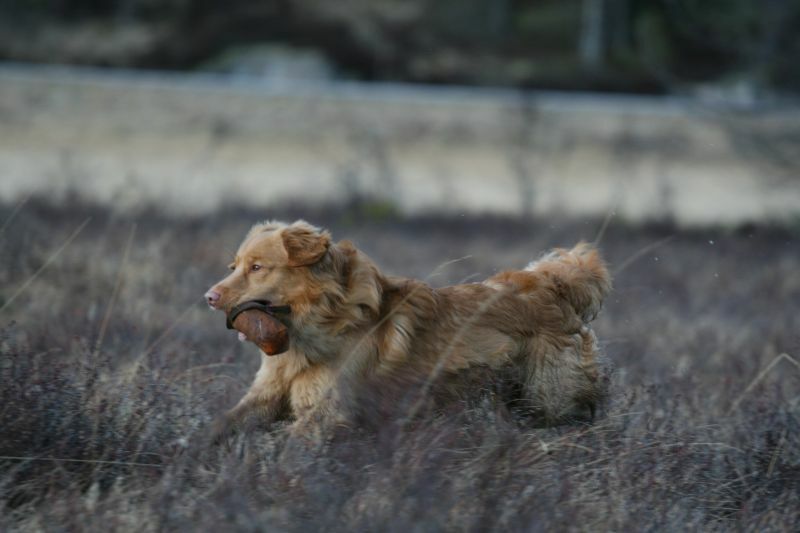 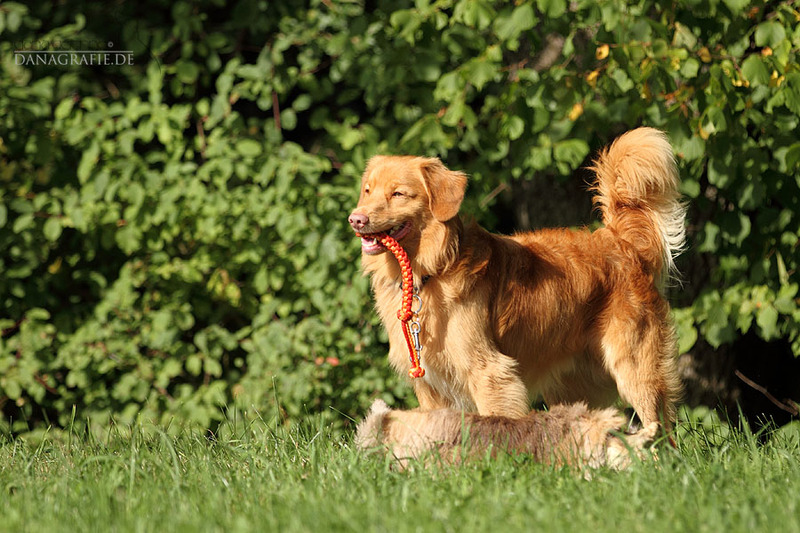 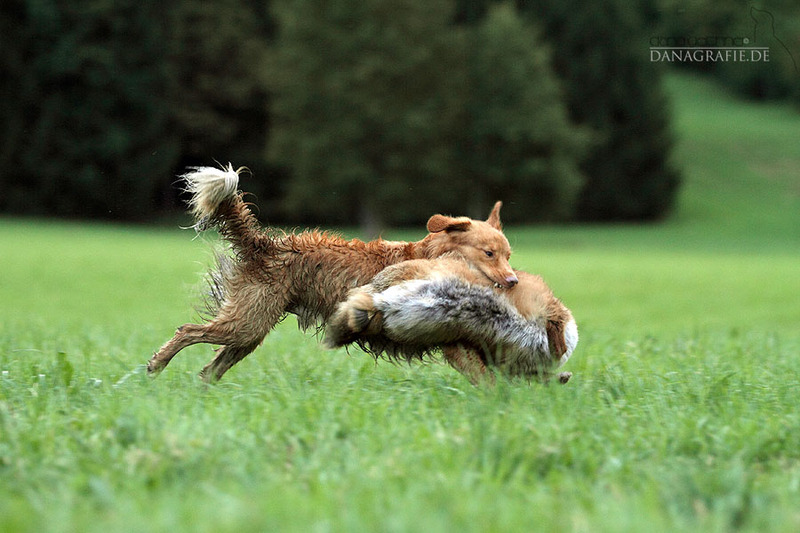 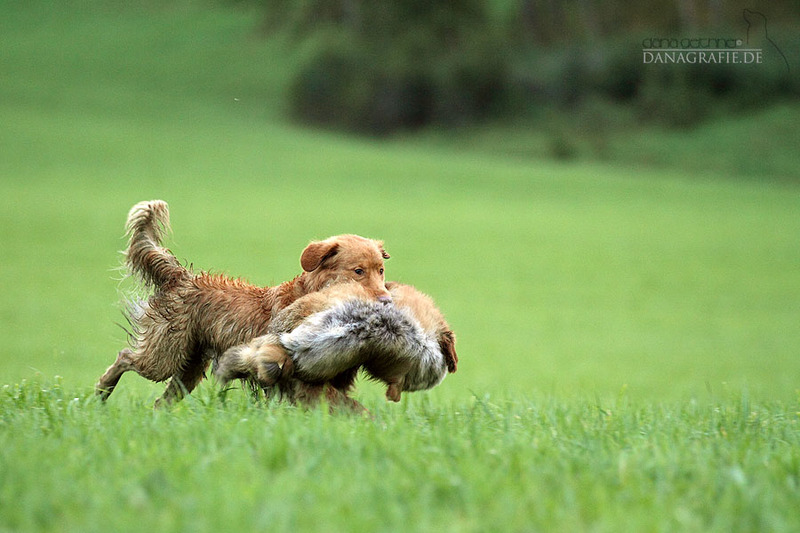 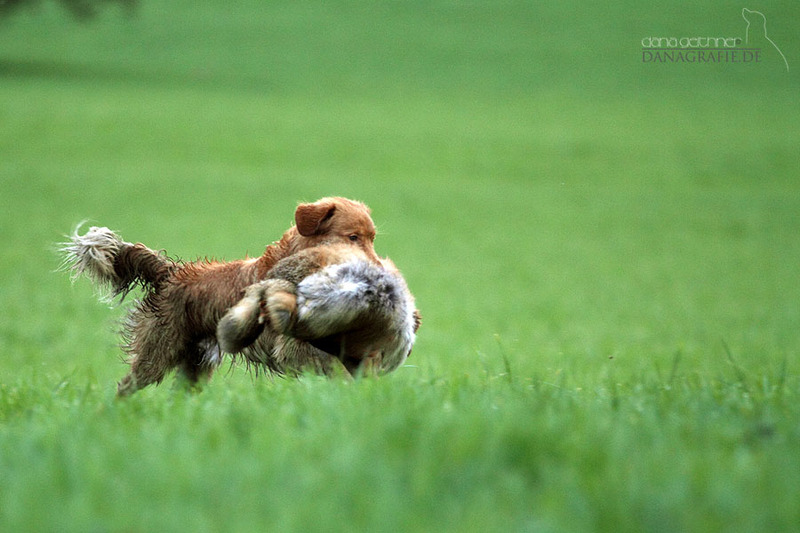 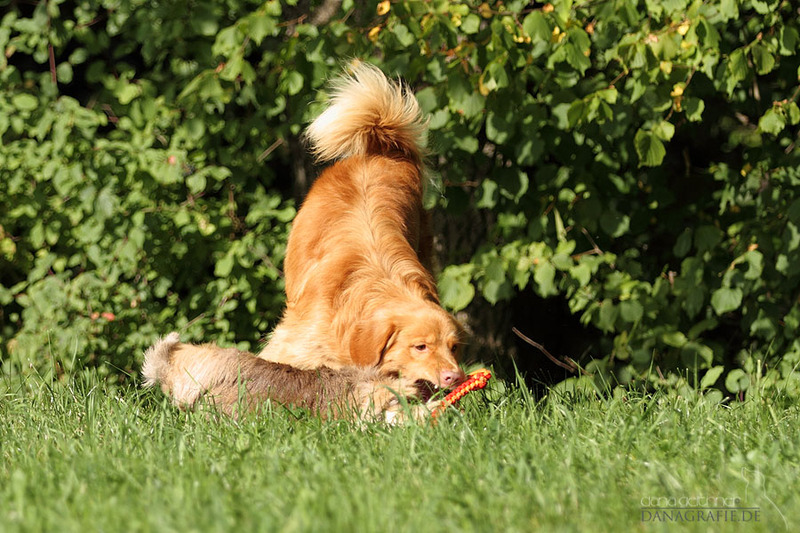 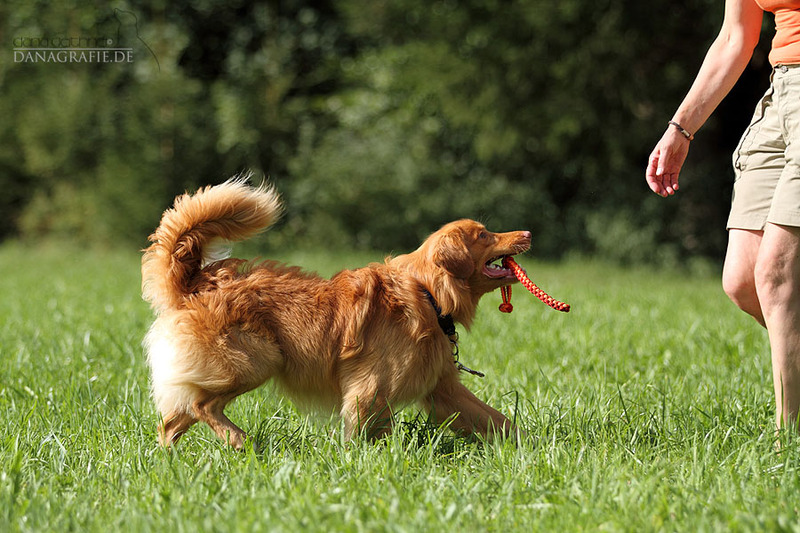 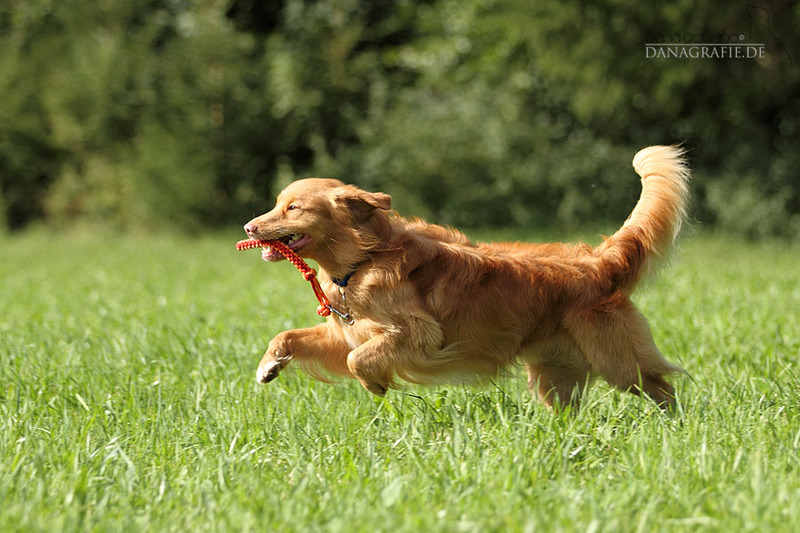 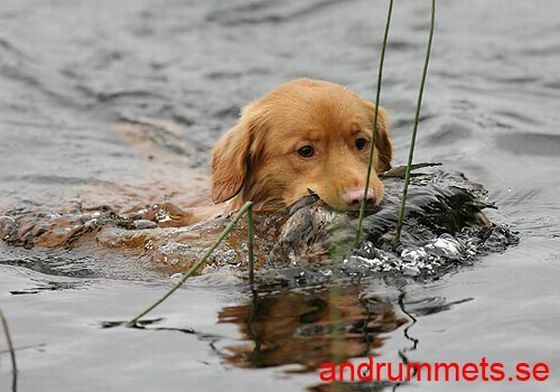 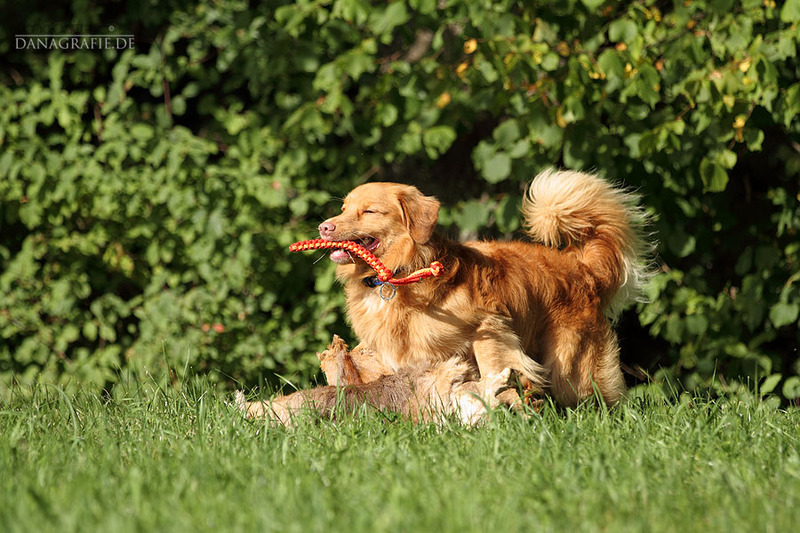 He has a very good prey attitude; he carries his prey and retrieves it to his owner. 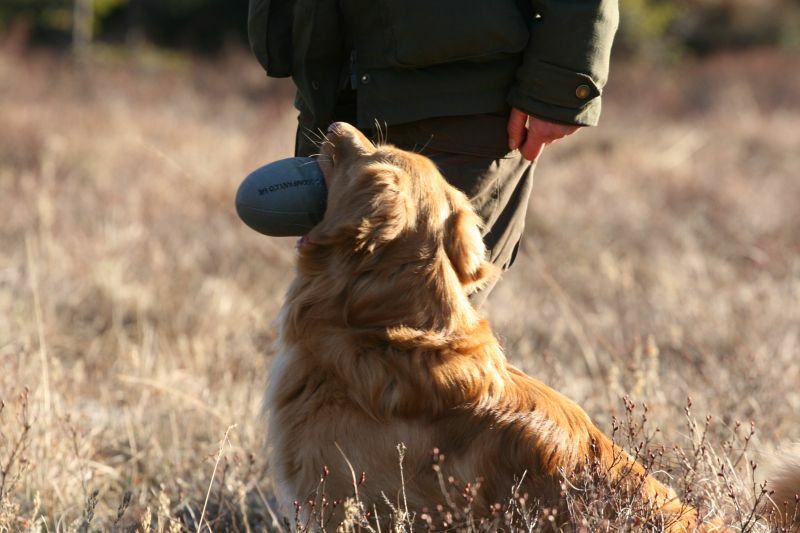 The relationship to his owner is very good, just like his subordination. 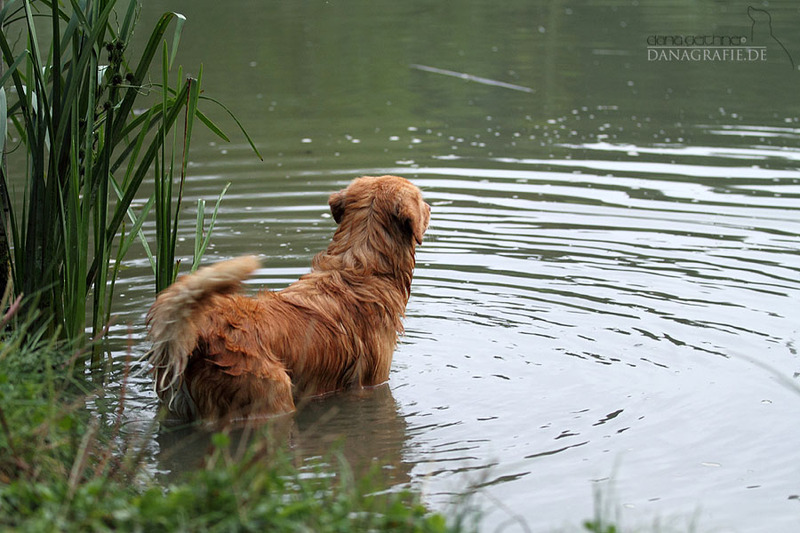 He is open-minded and confident among people; he masters narrowness without a problem. 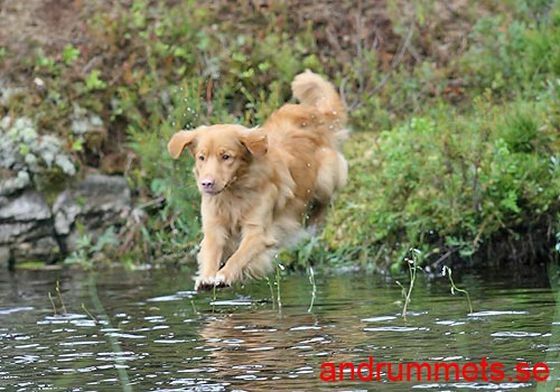 He masters the optical and acoustic course without any problems and examines everything by his own. 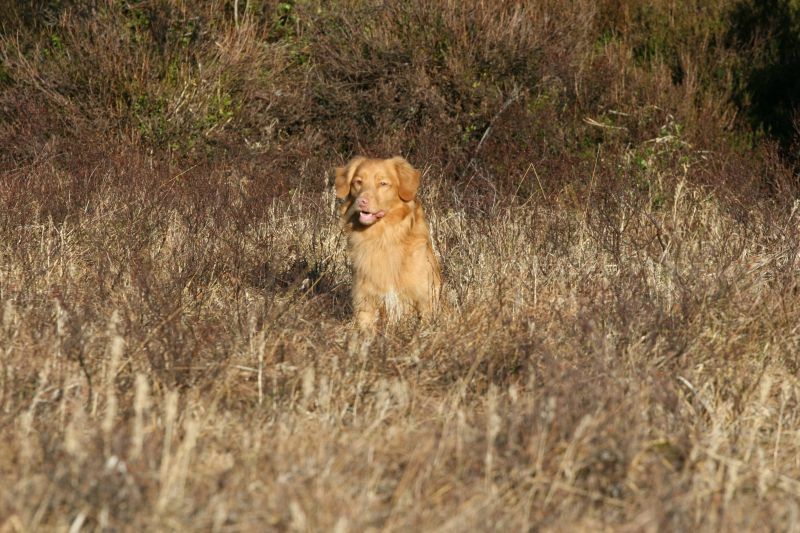 During the shot he is confident and alert; he curiously looks for his prey. 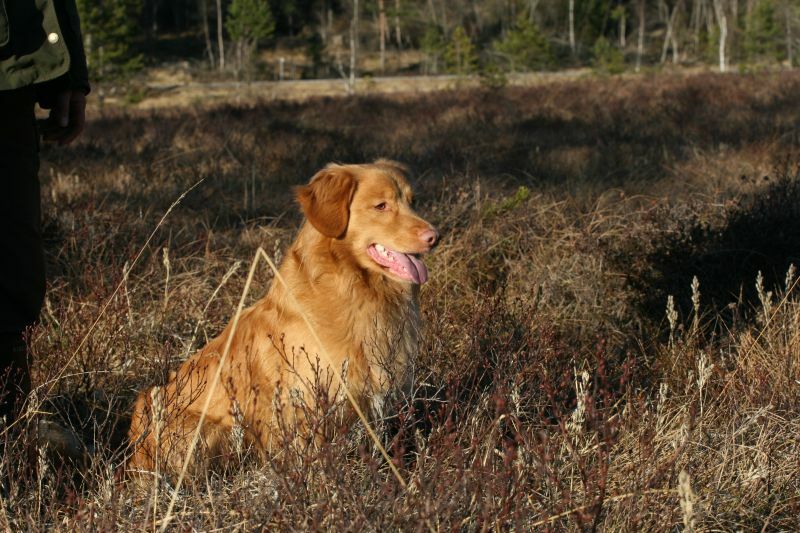 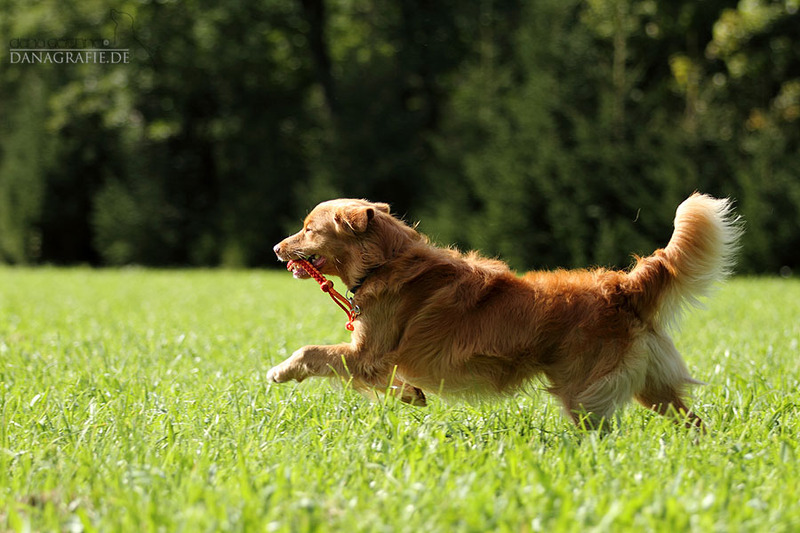 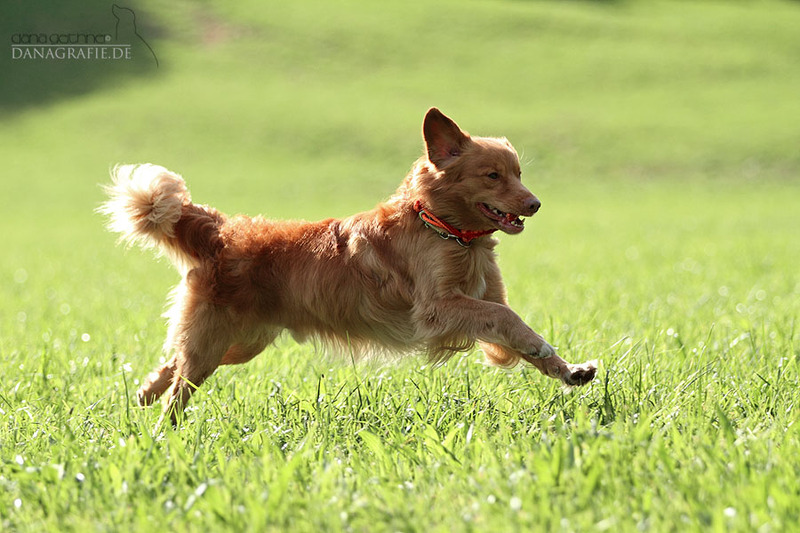 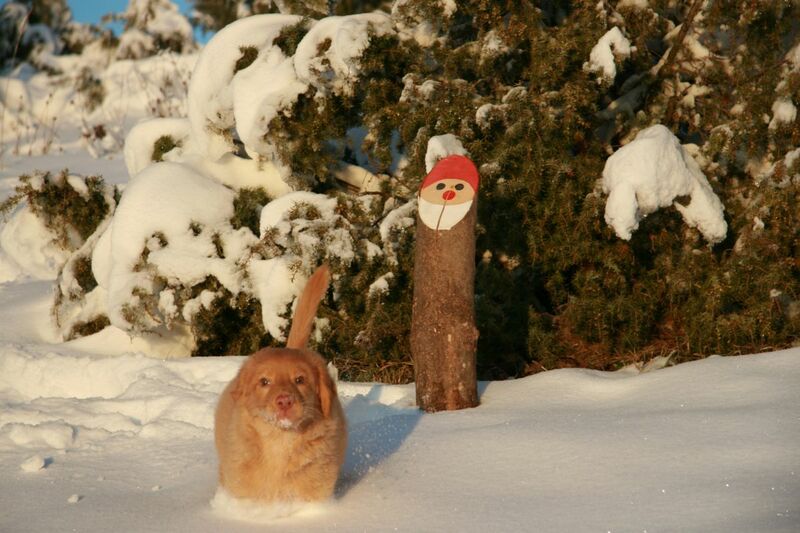 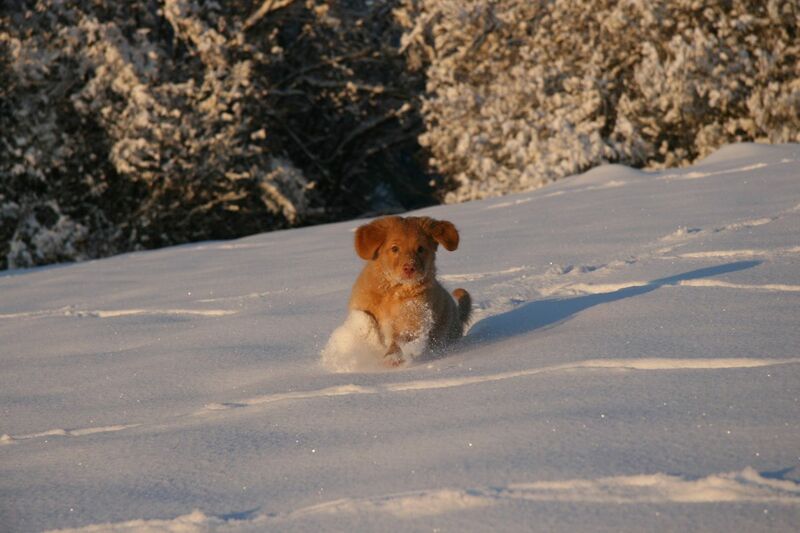 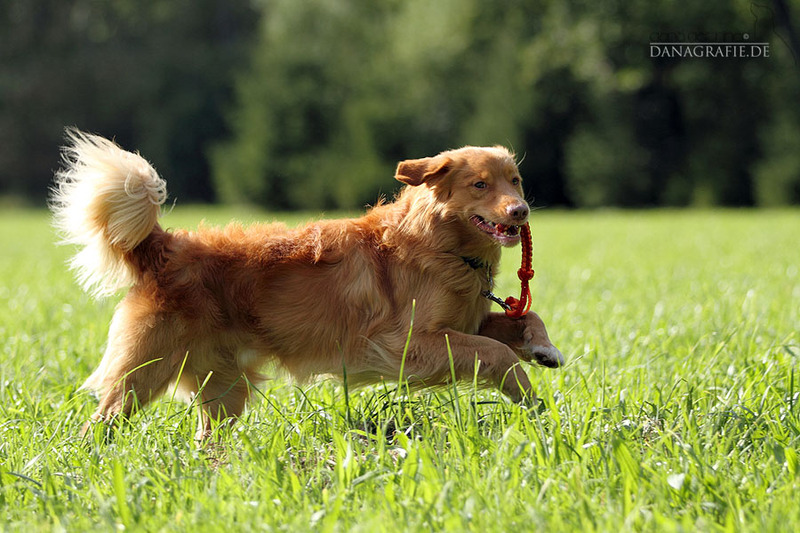 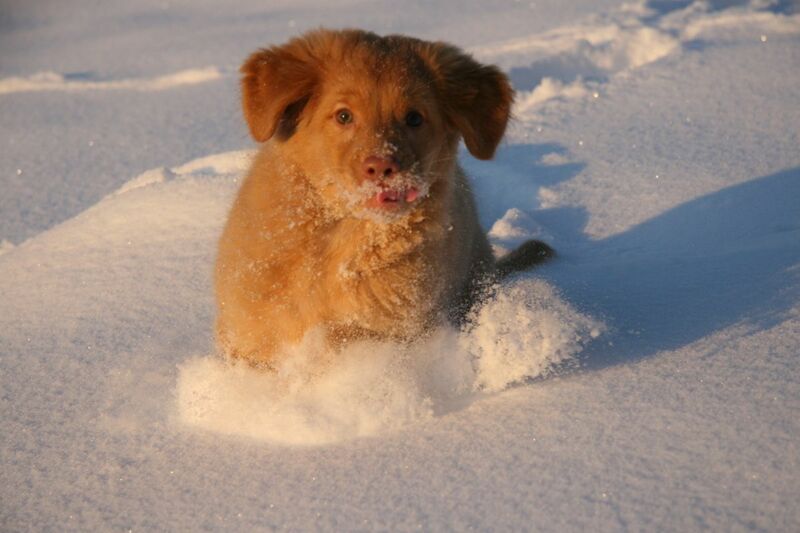 A happy and great companion dog. 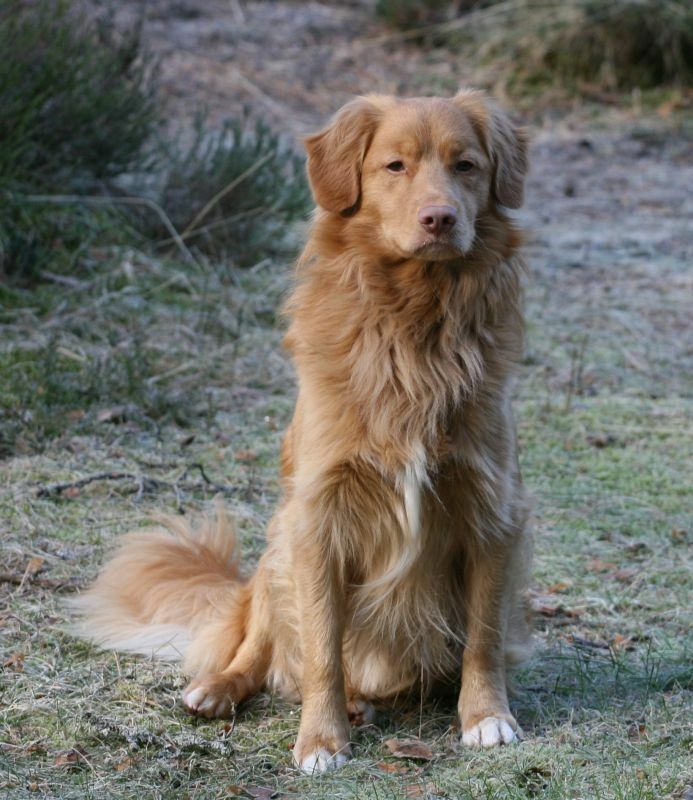 excellent body, accurate lines and angulation, a little white on chest and paws, very good character/temperament.